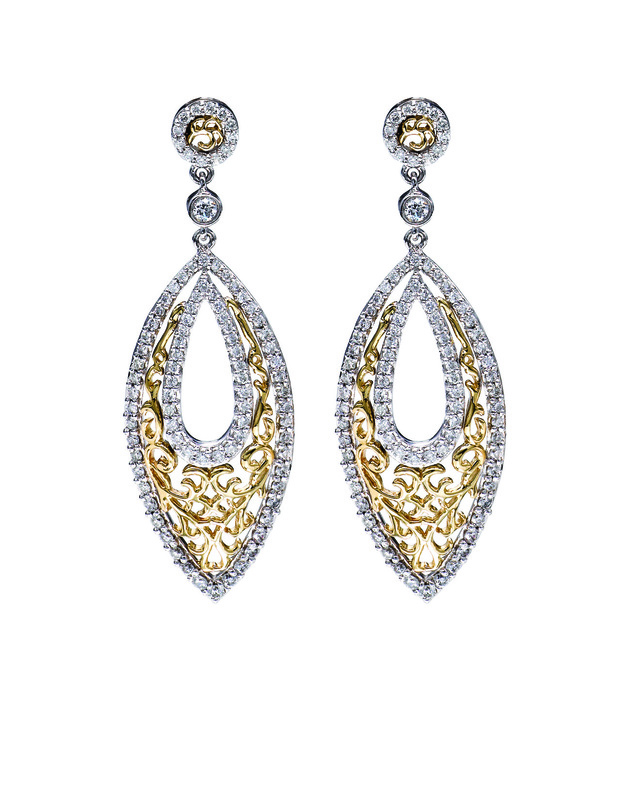 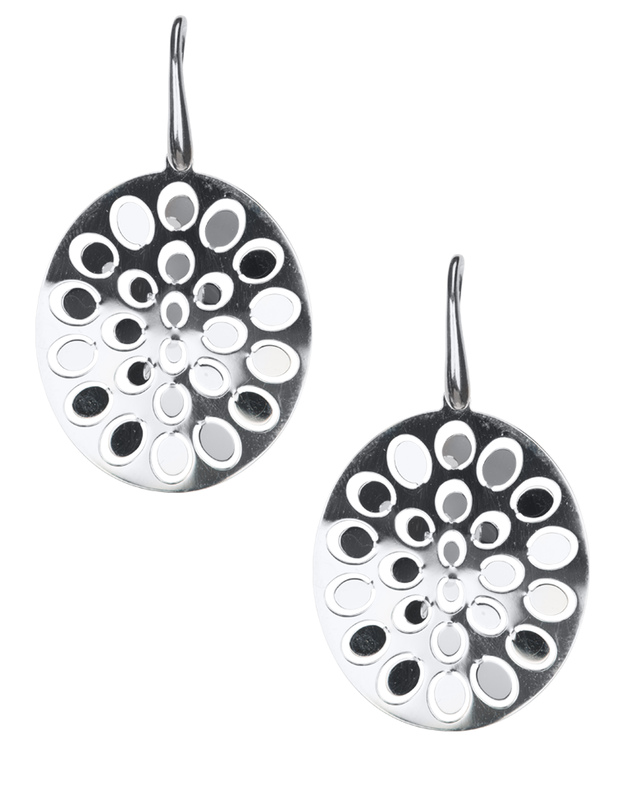 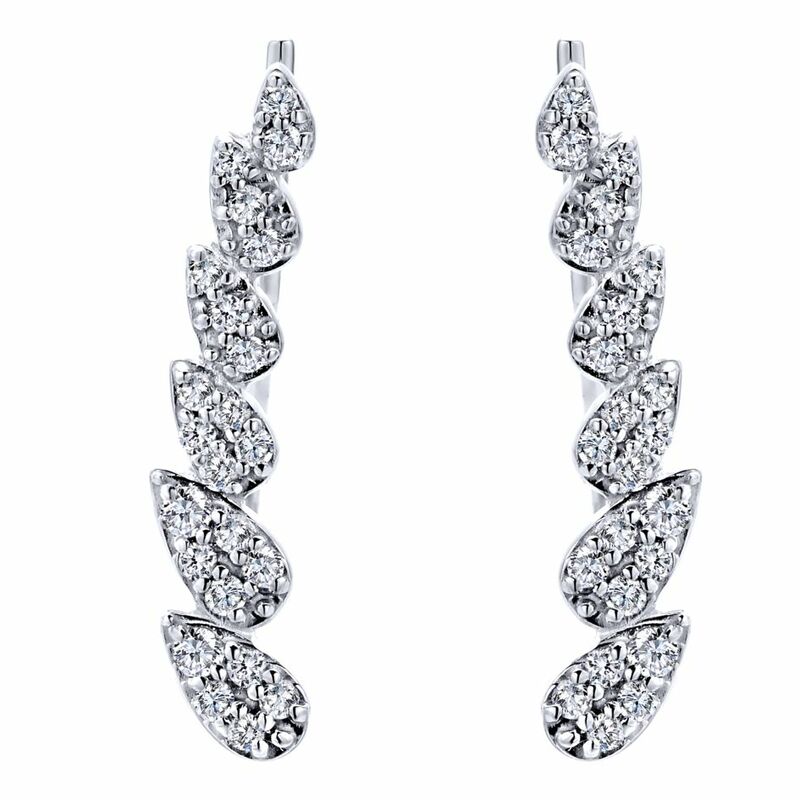 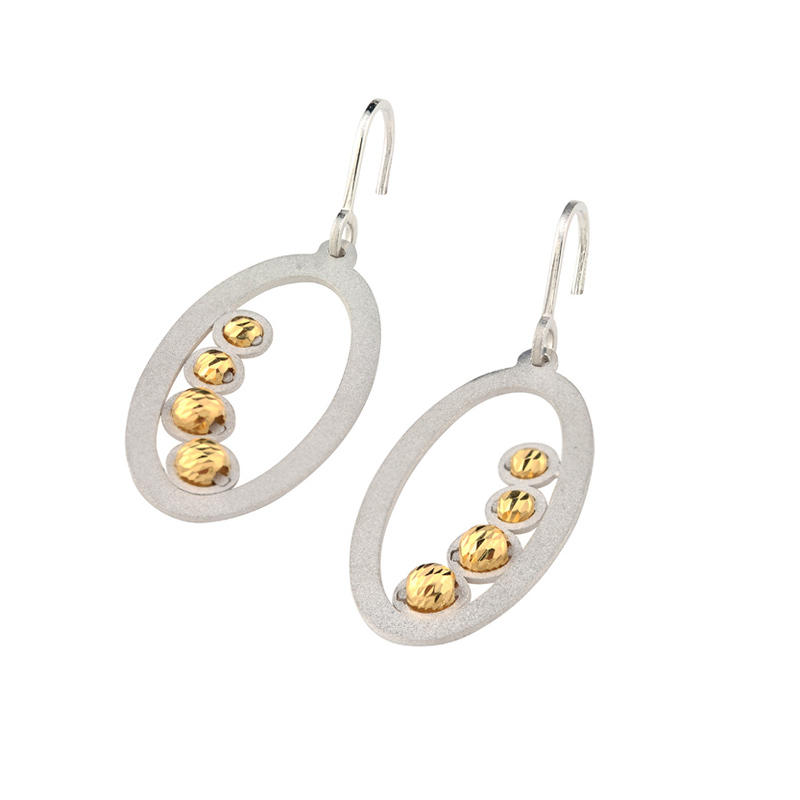 These Frederic Duclos style e513 oval drop earrings will add that final touch to any ensemble. 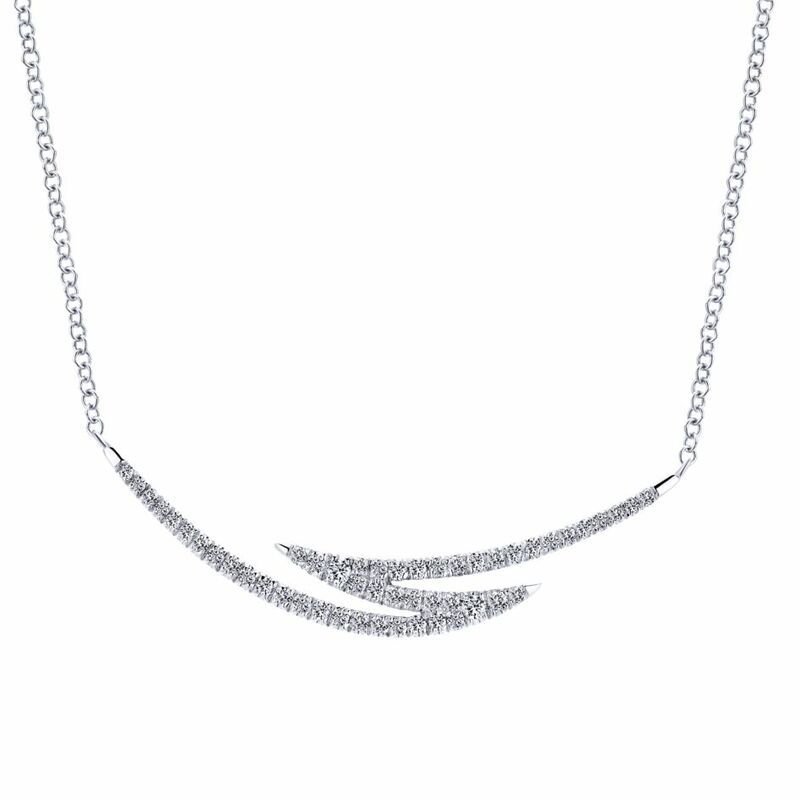 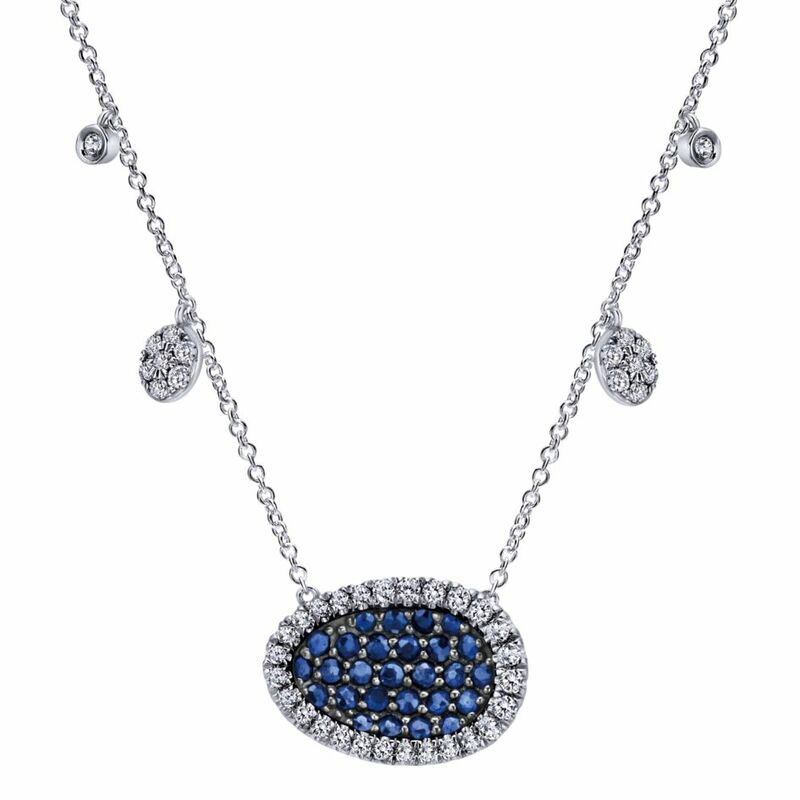 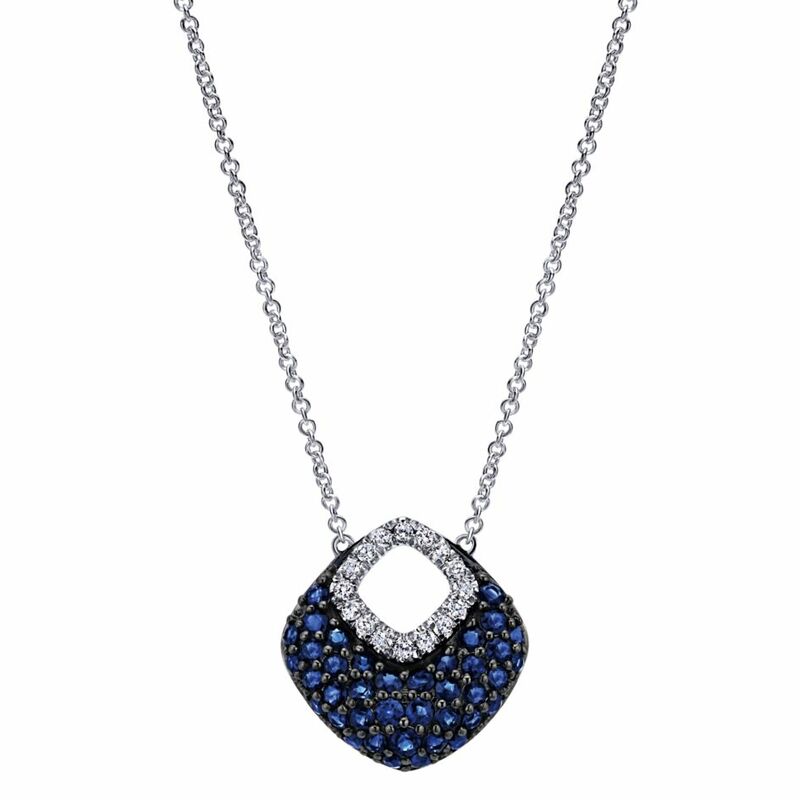 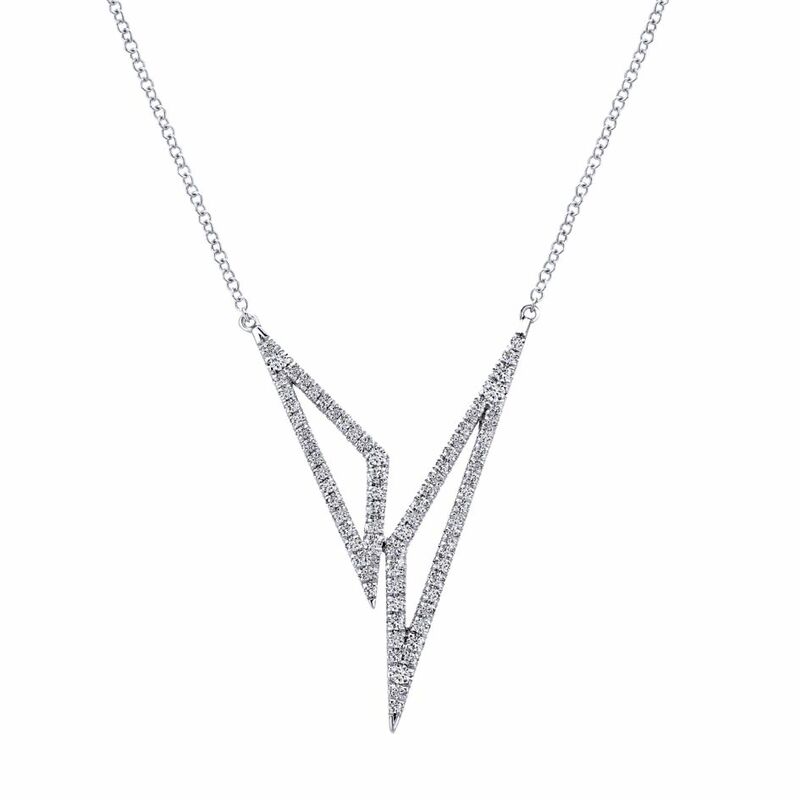 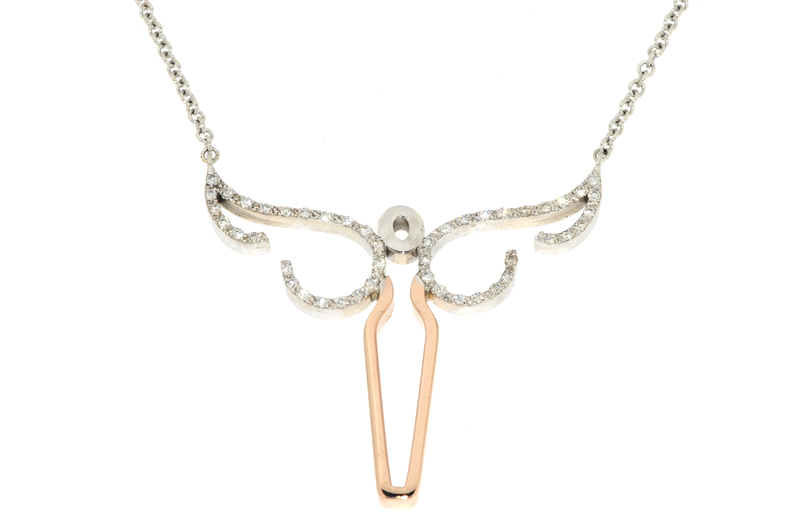 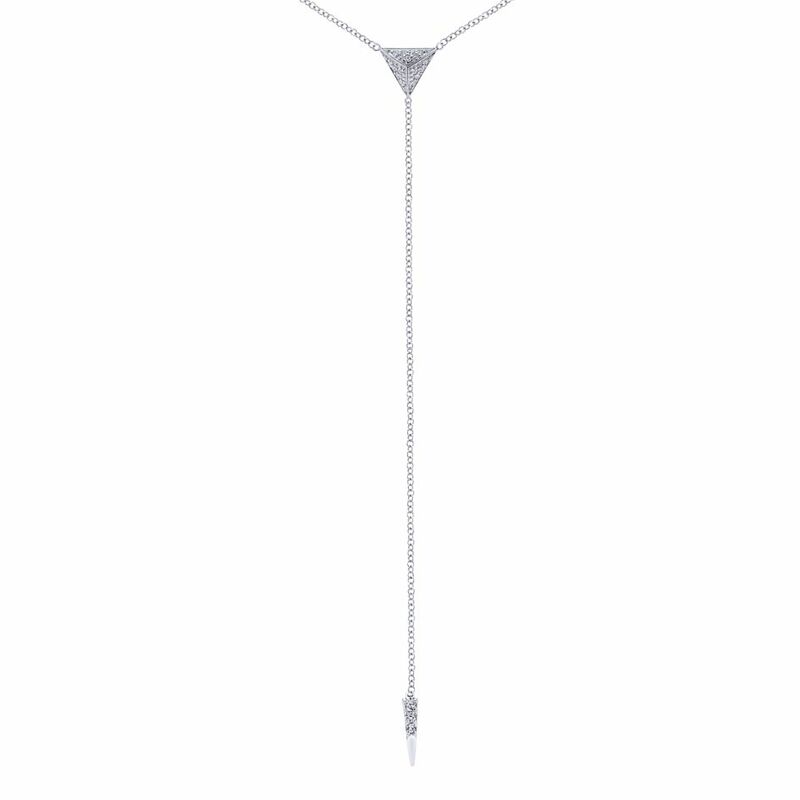 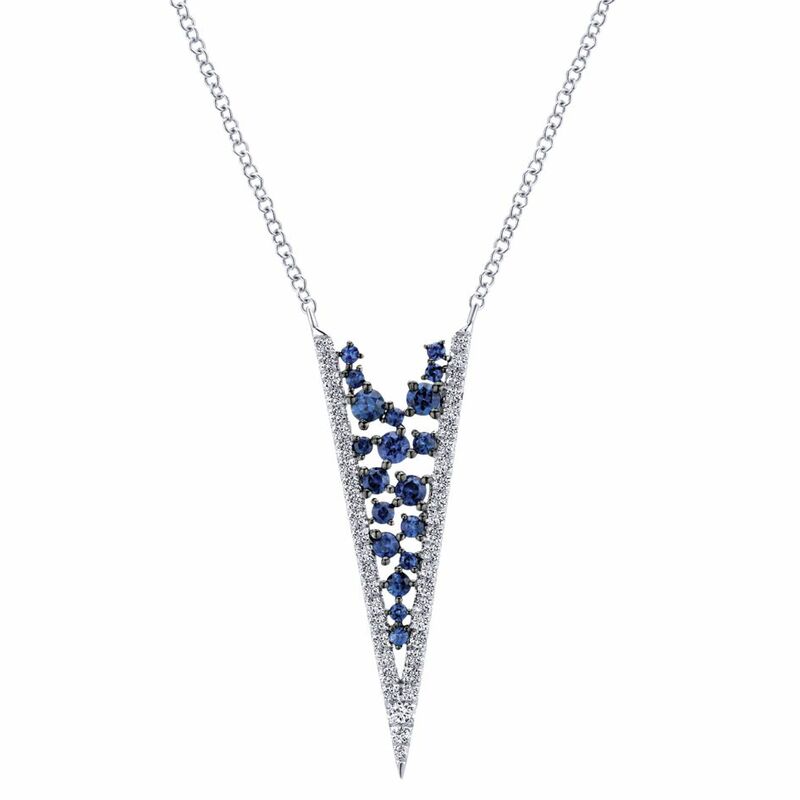 This Frederic Duclos style ne541 pendant necklace brings a modern twist to a classic design, perfect for any occasion. 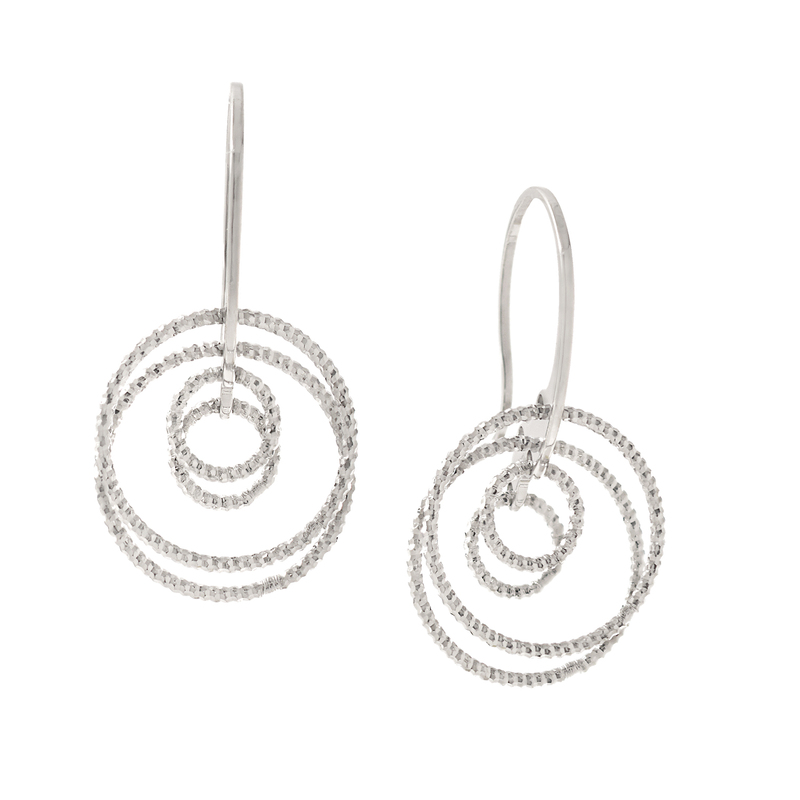 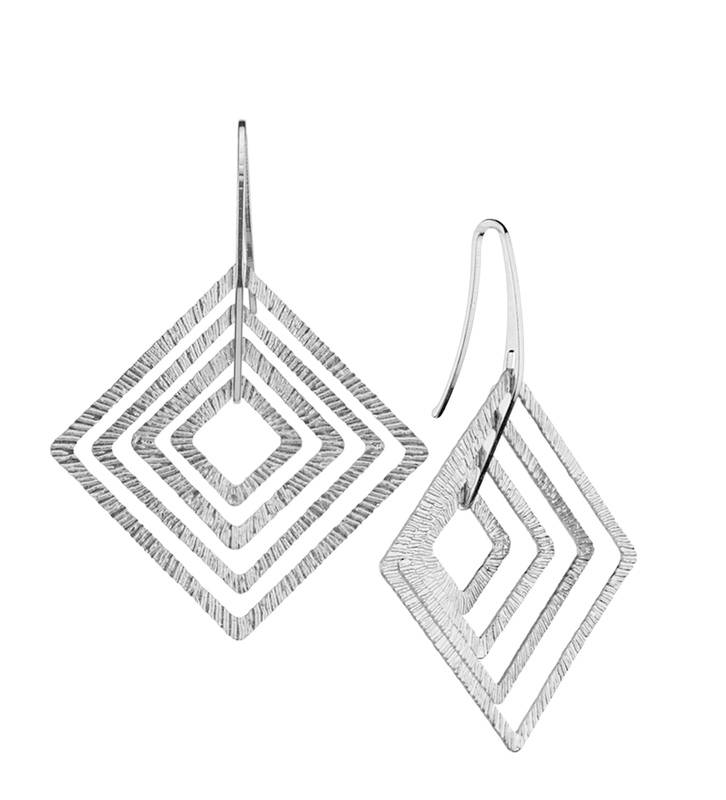 These Frederic Duclos style e565 ripple earrings are 100% silver and will stand out from the crowd. 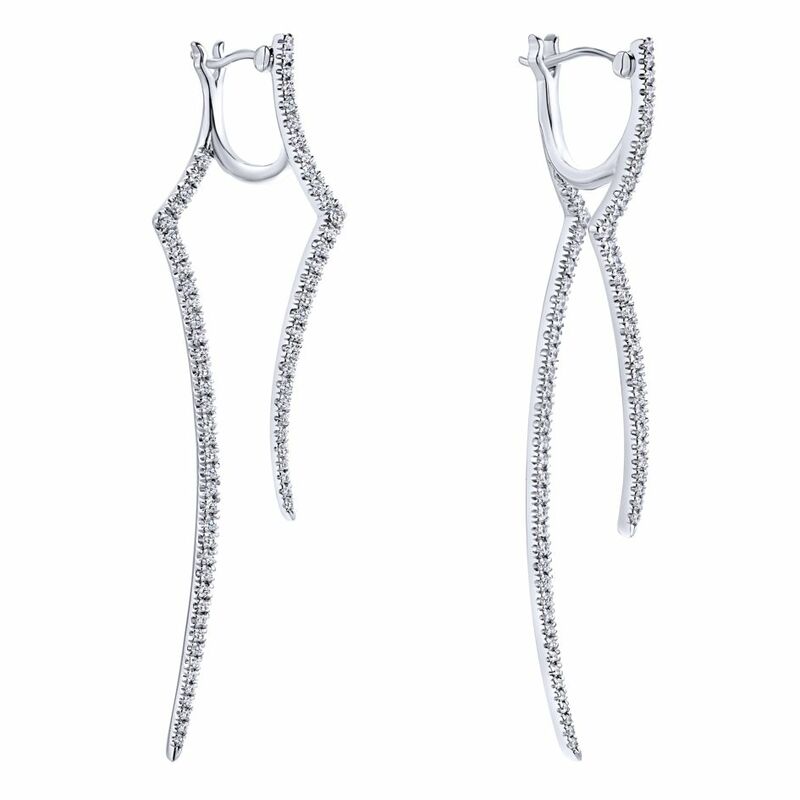 These Frederic Duclos style e536 earrings portray class and style with a modern twist. 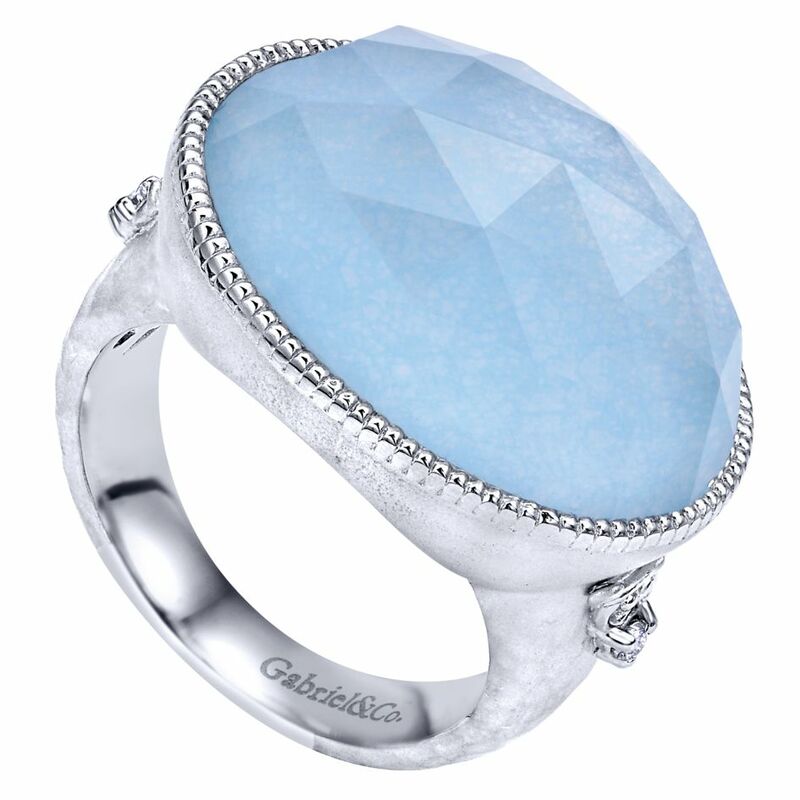 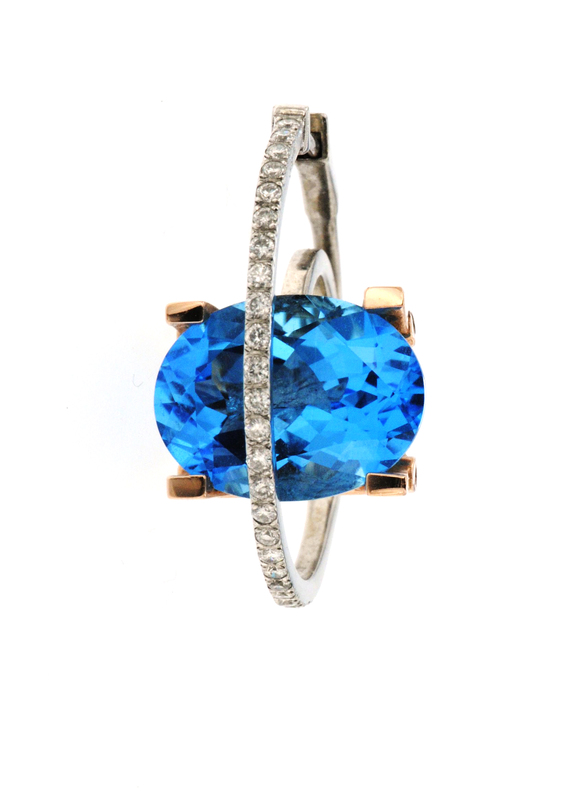 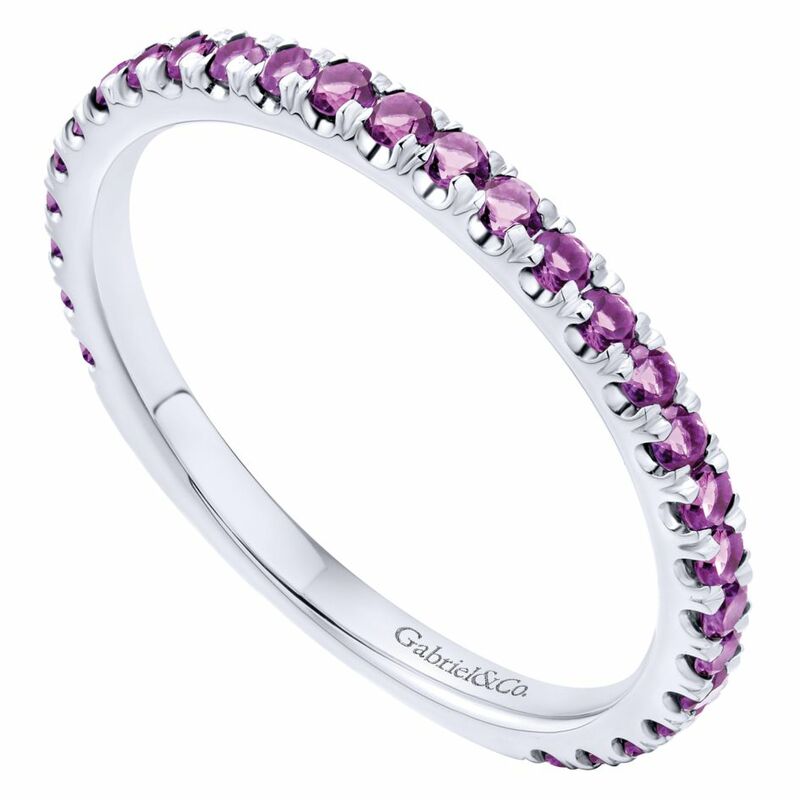 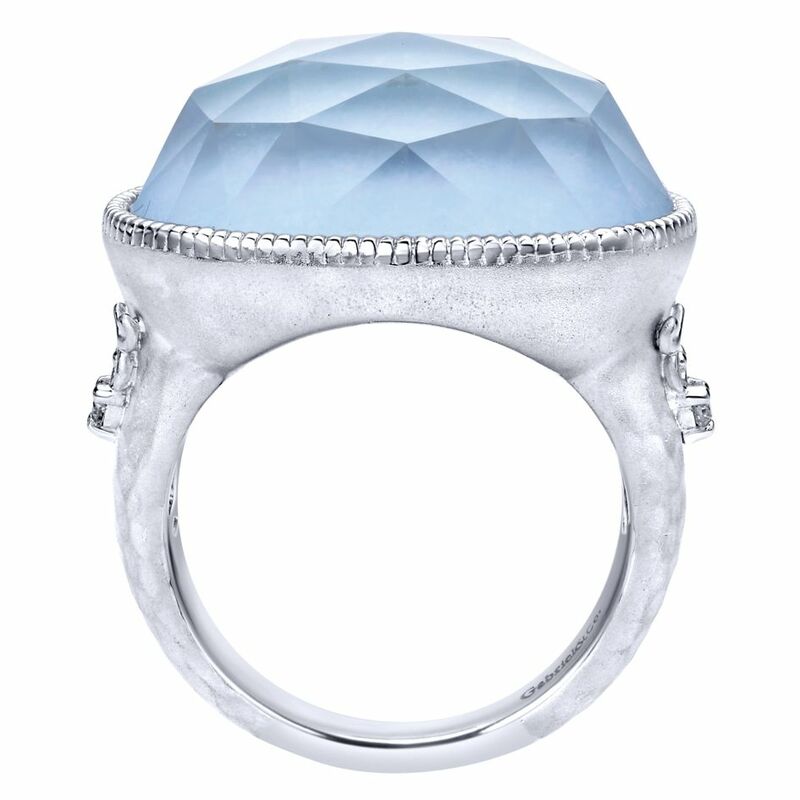 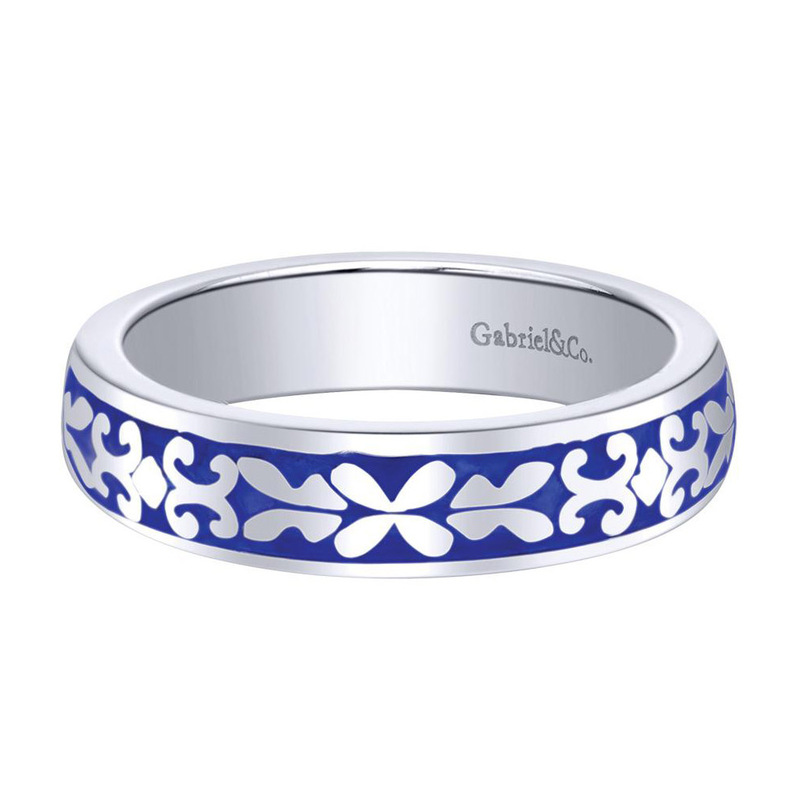 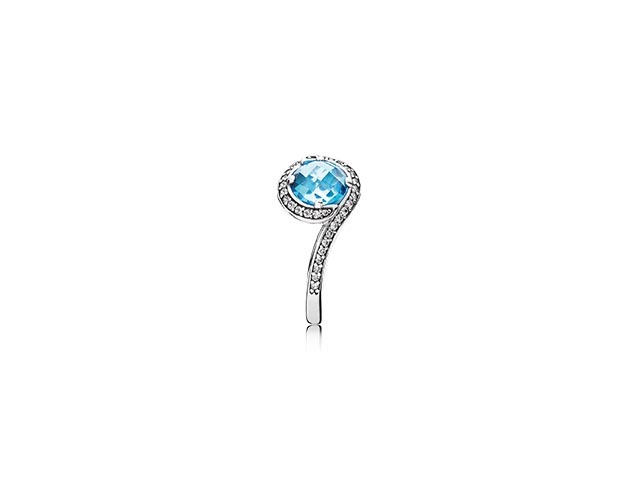 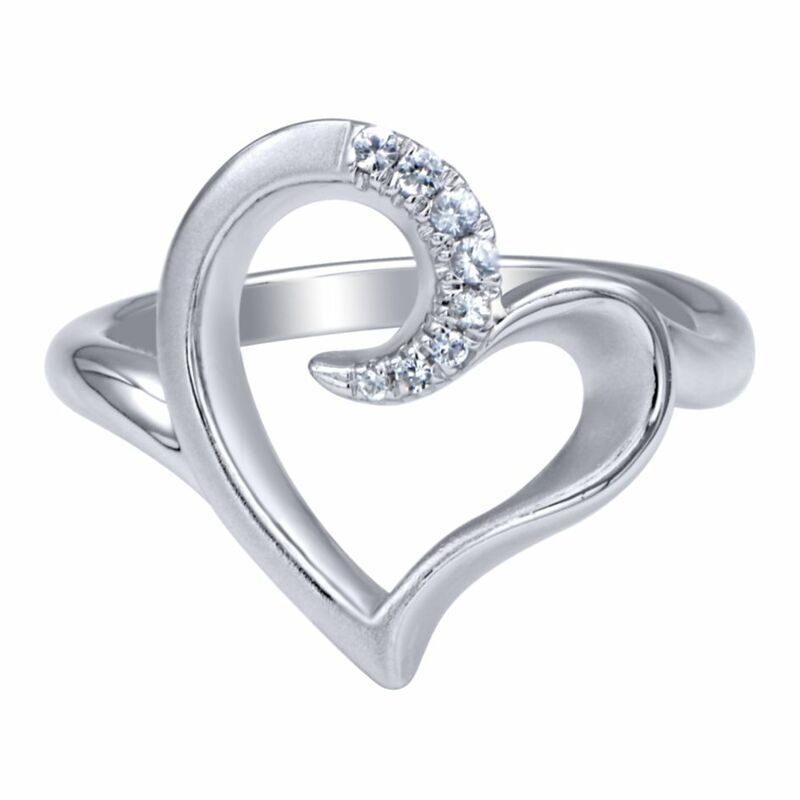 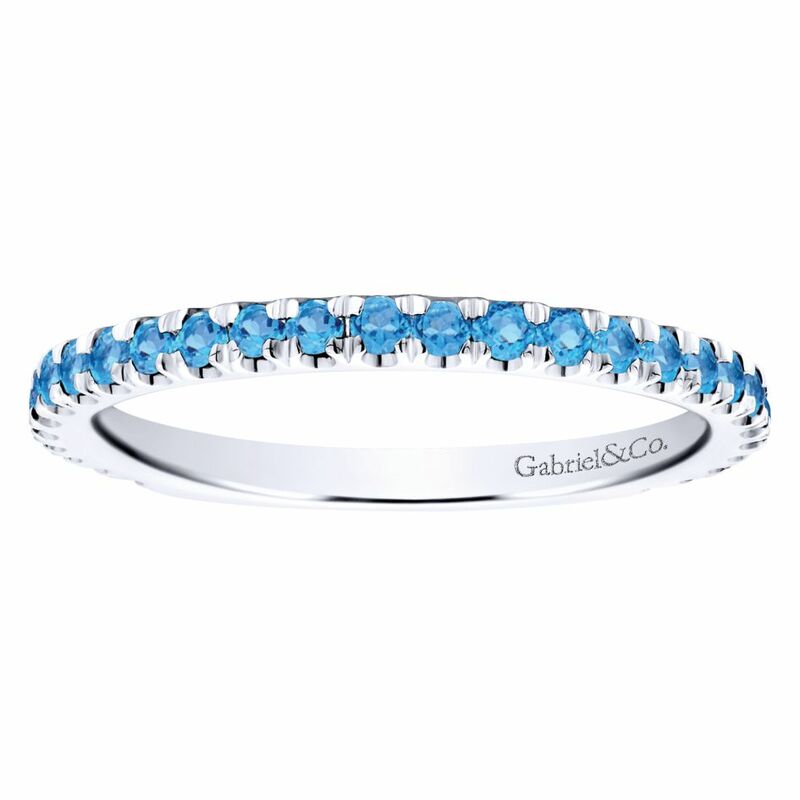 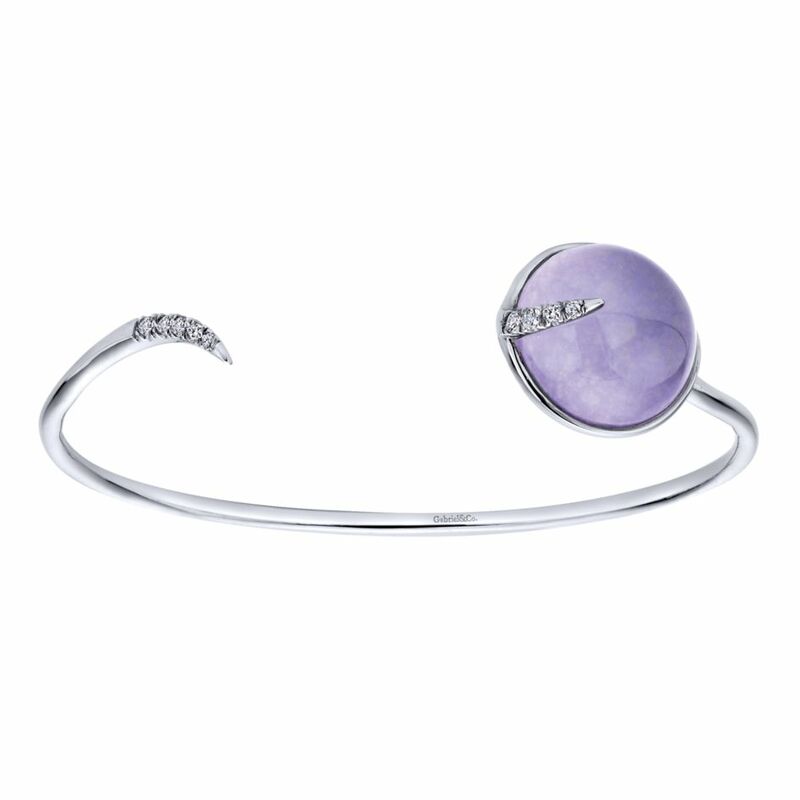 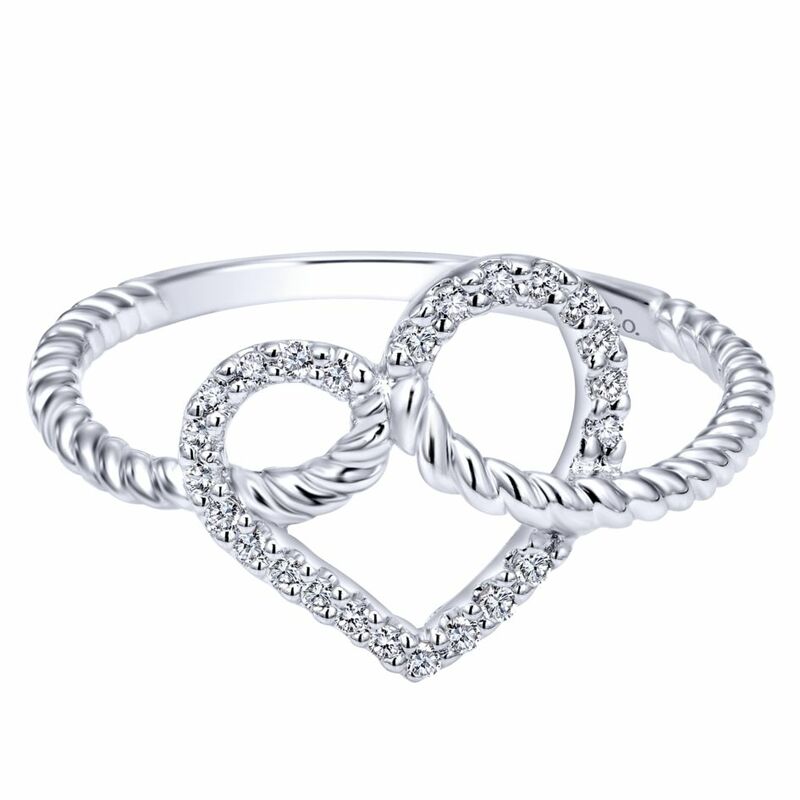 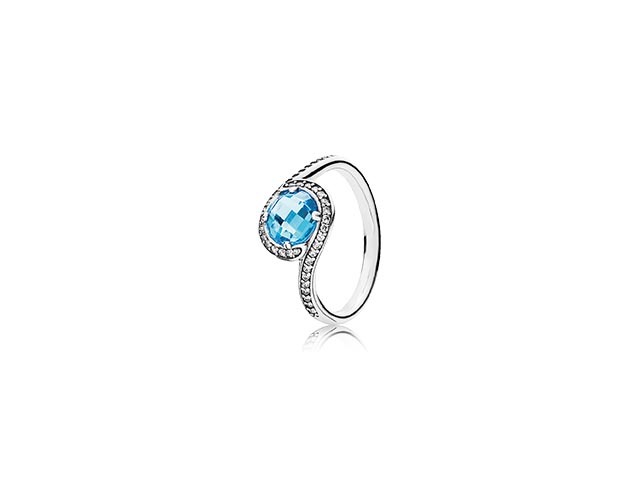 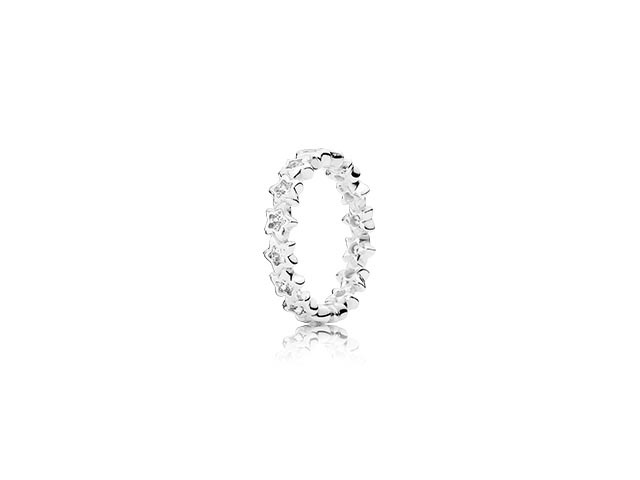 This beautiful Gabriel & Co style lr50889 silver ring is stackable and will complement any jewelry piece with its beautiful blue finish. 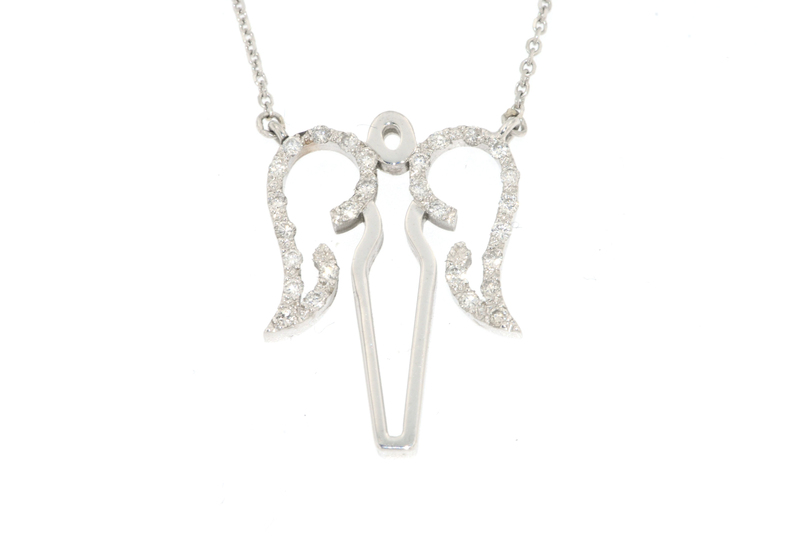 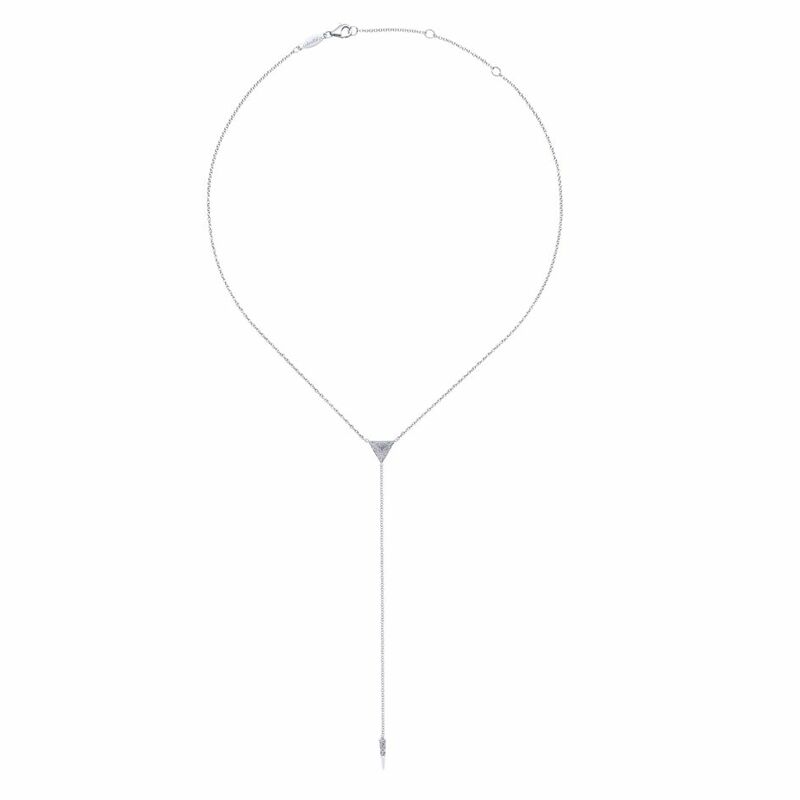 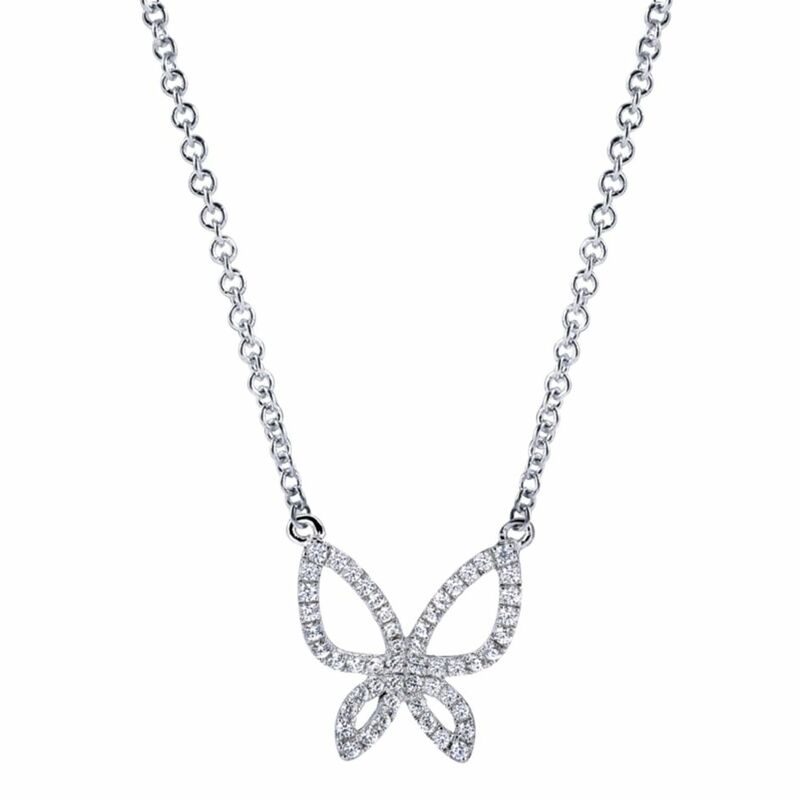 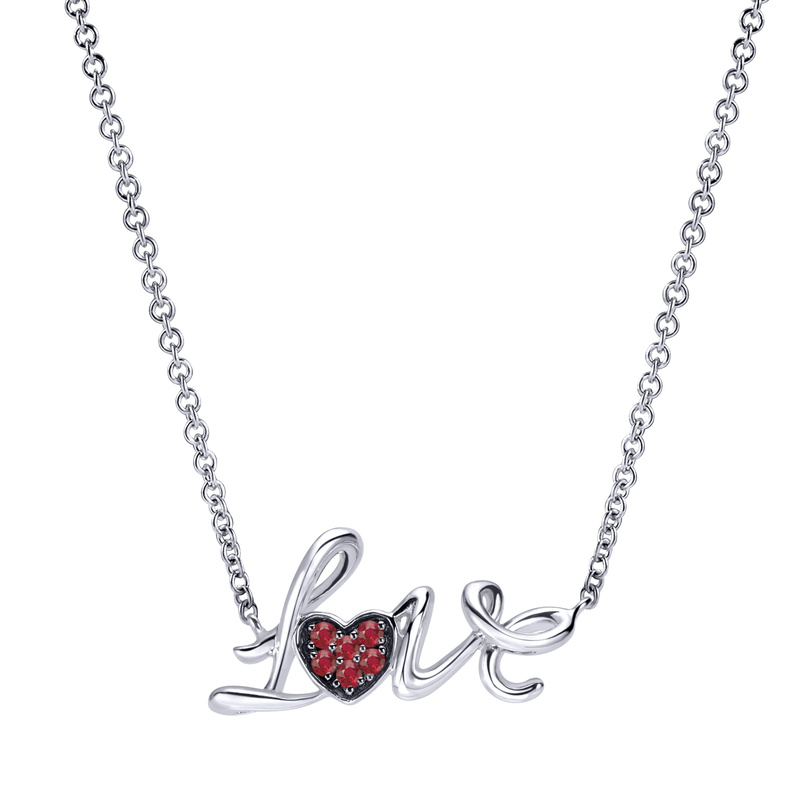 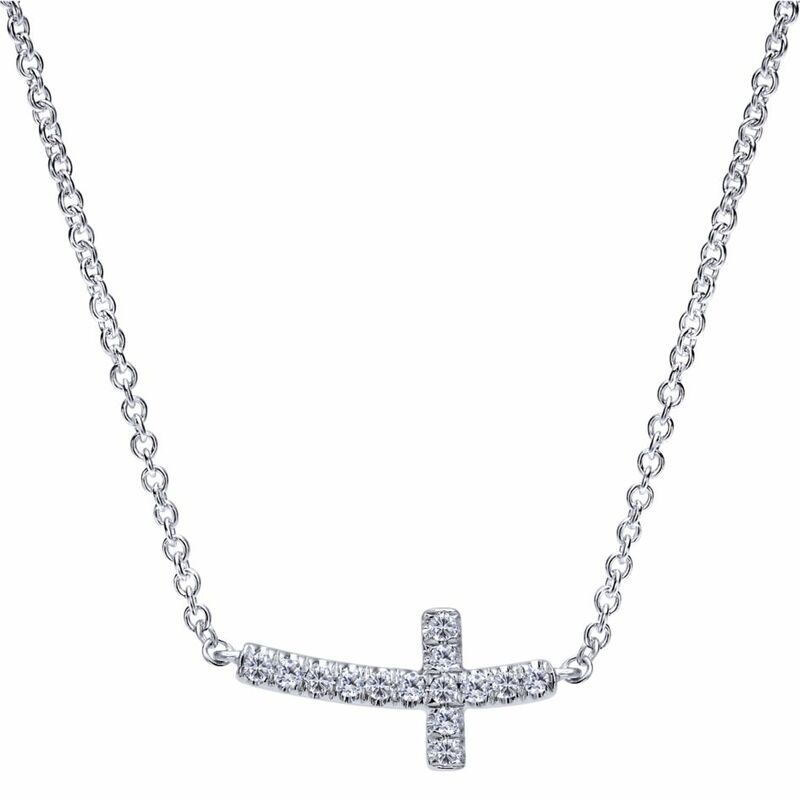 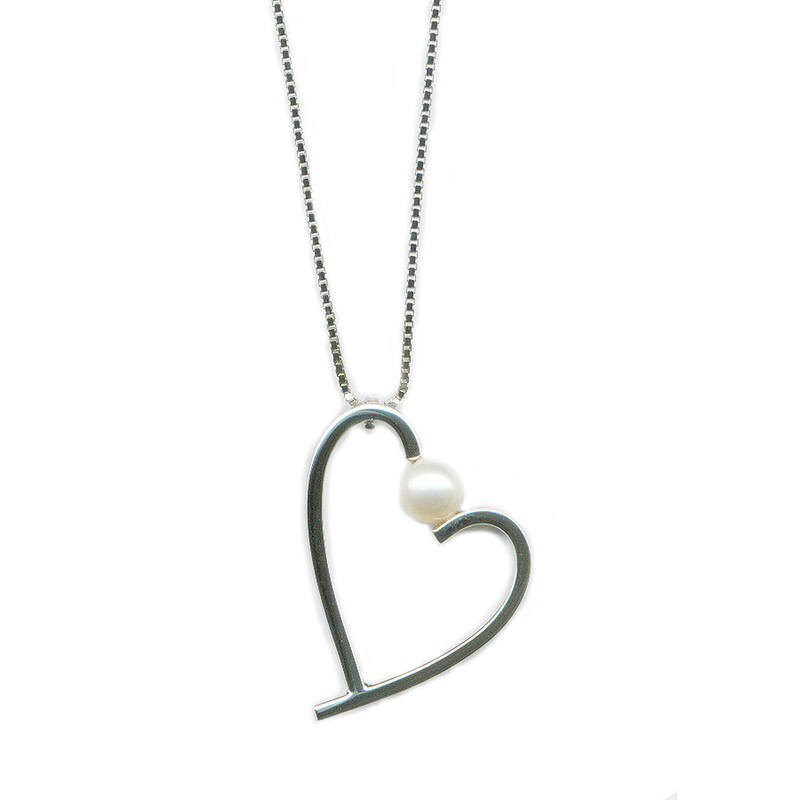 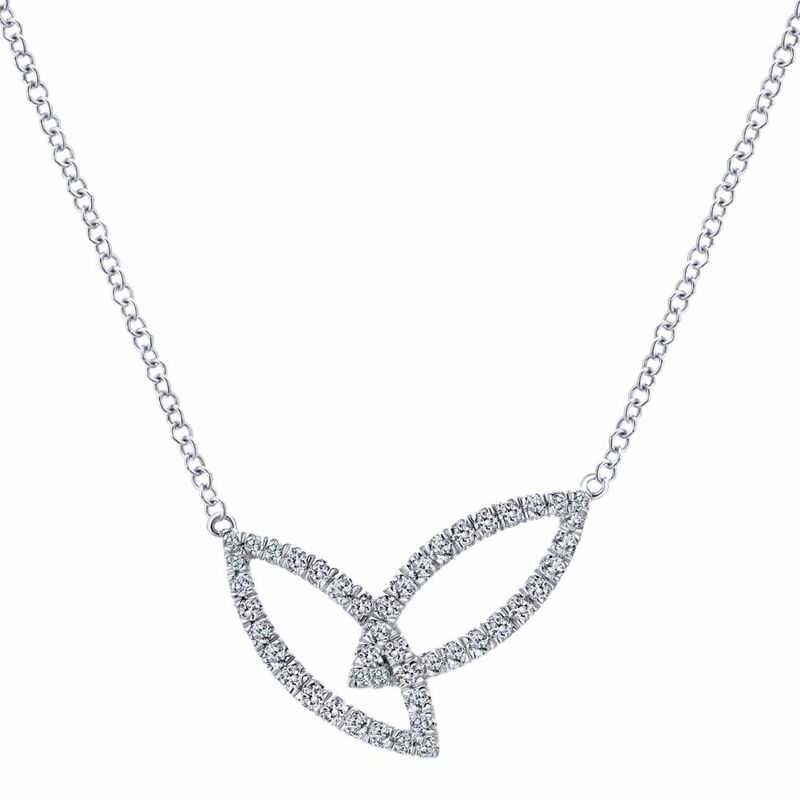 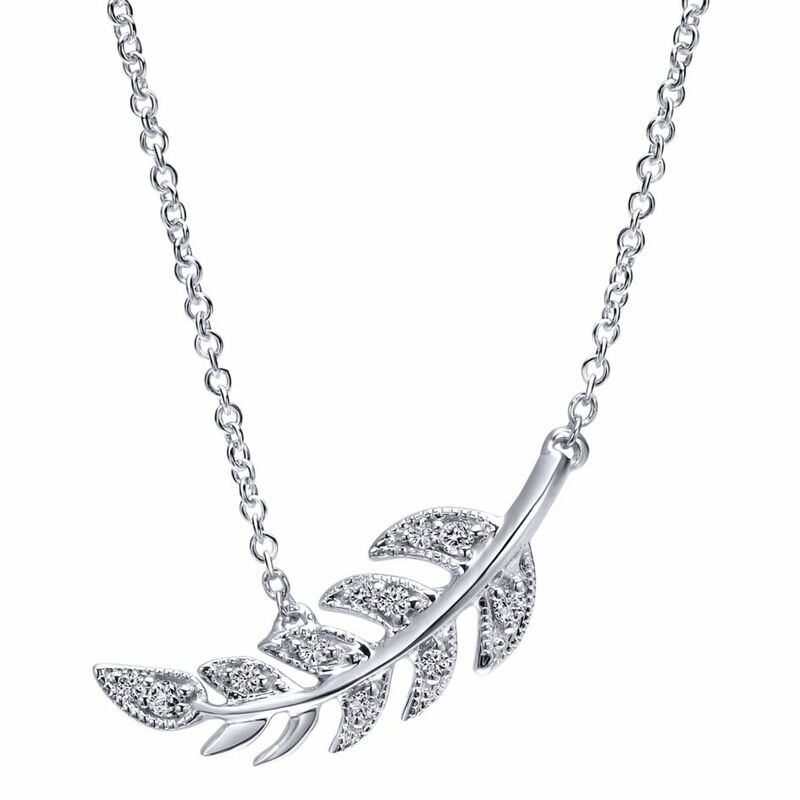 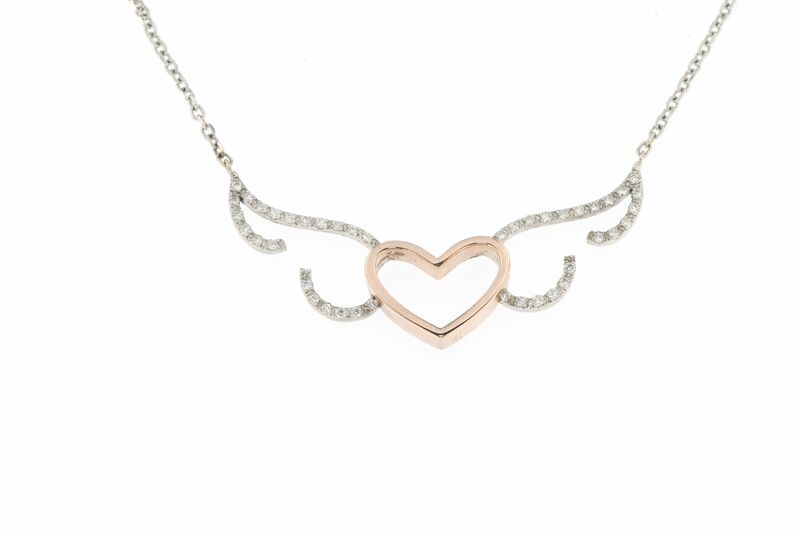 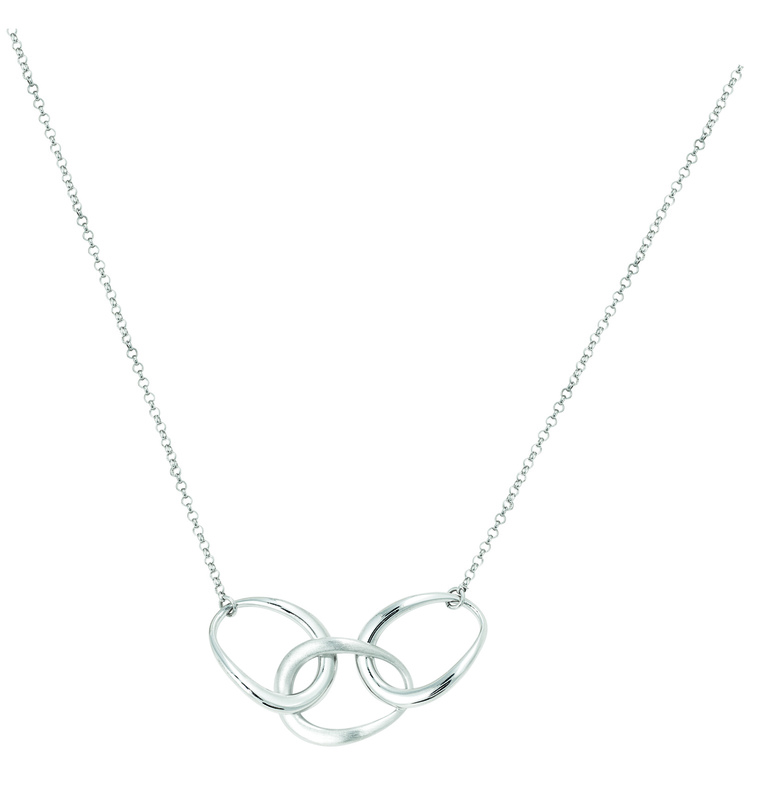 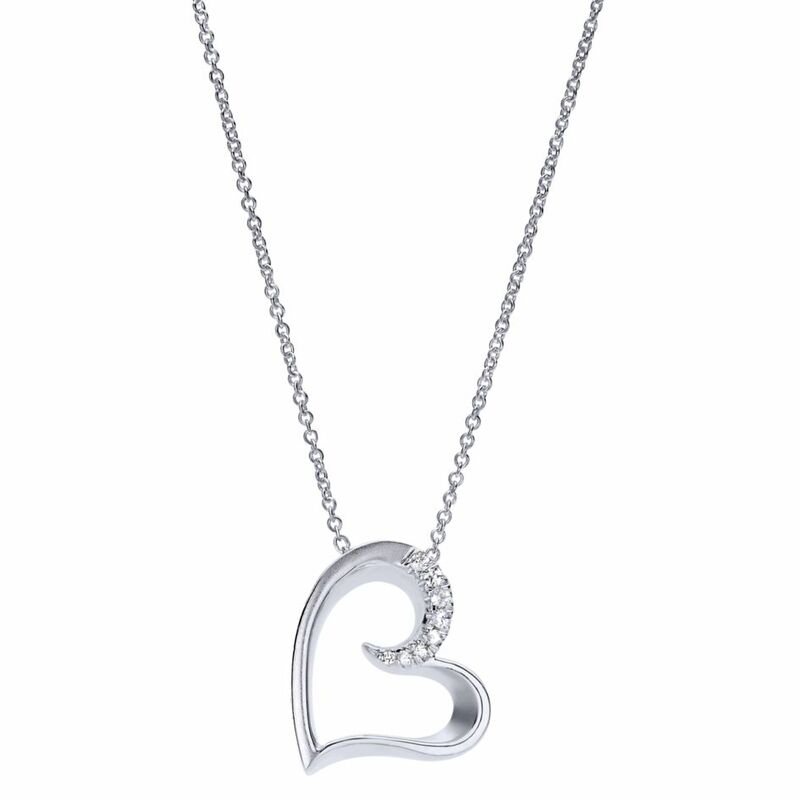 The Frederic Duclos style ne962 is a beautiful sterling silver triple link necklace. 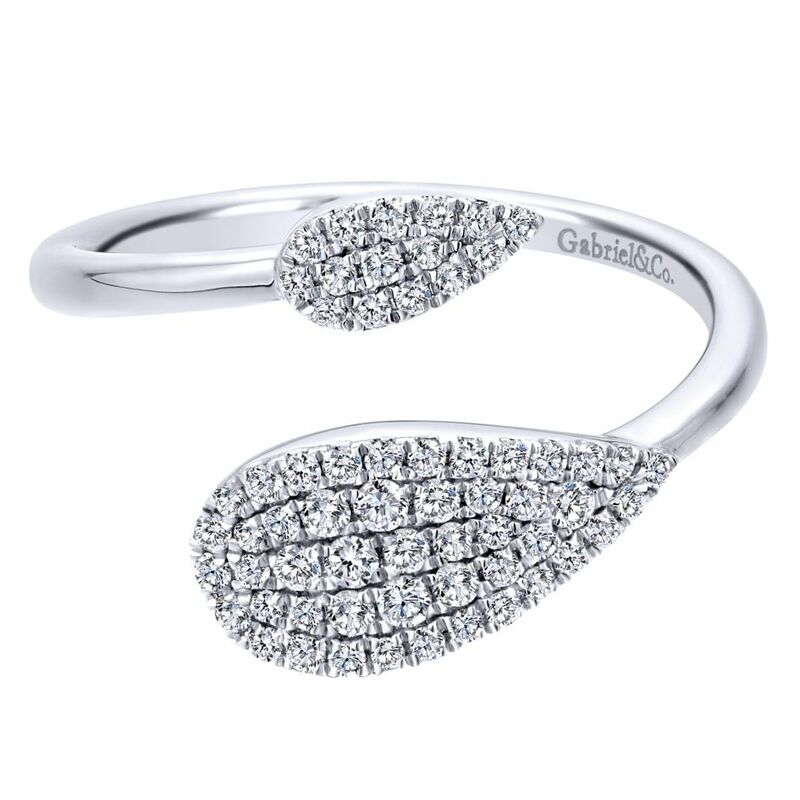 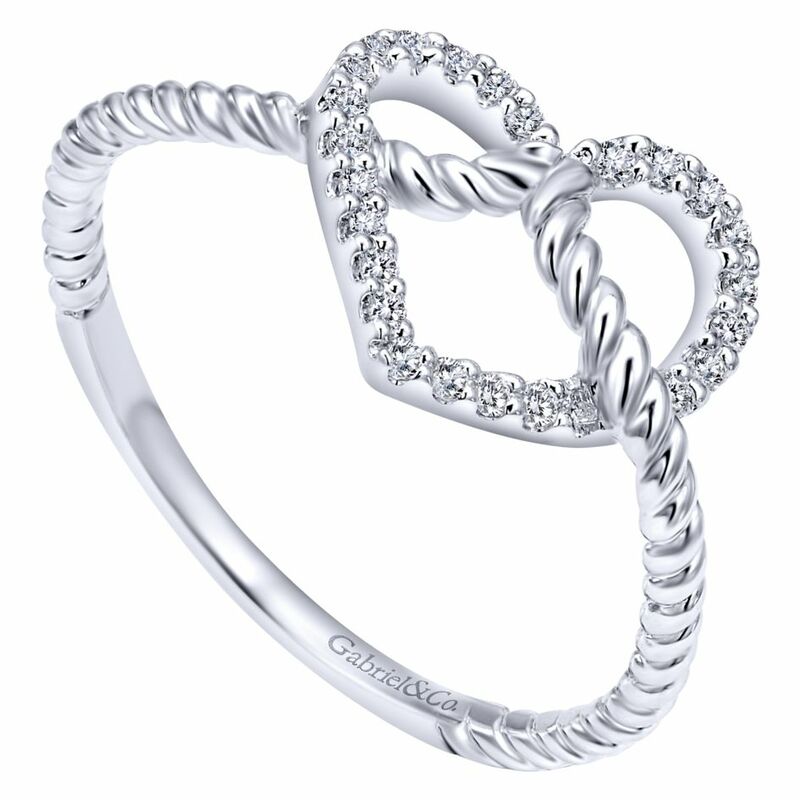 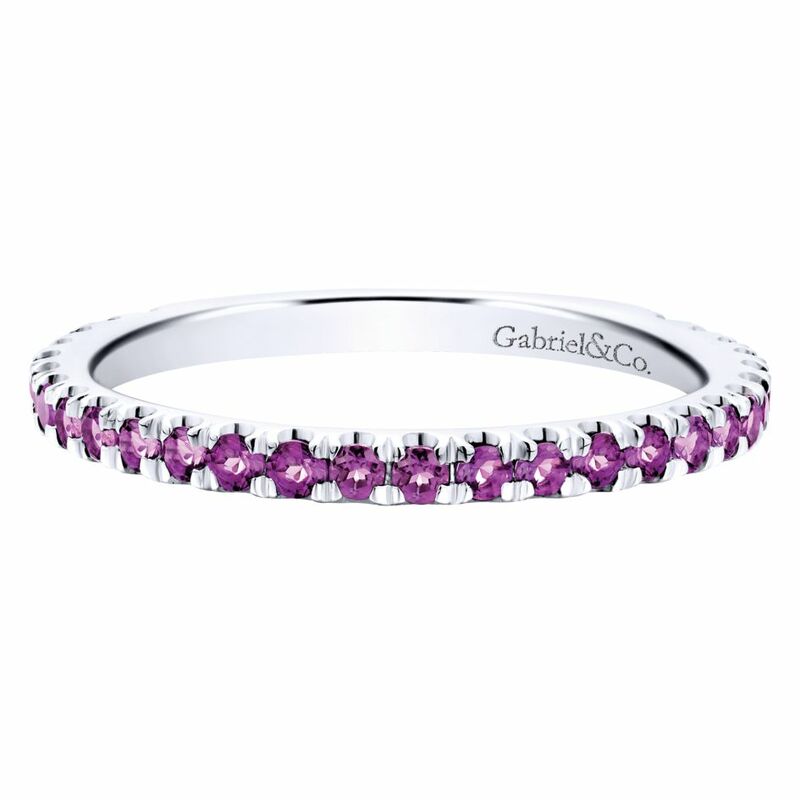 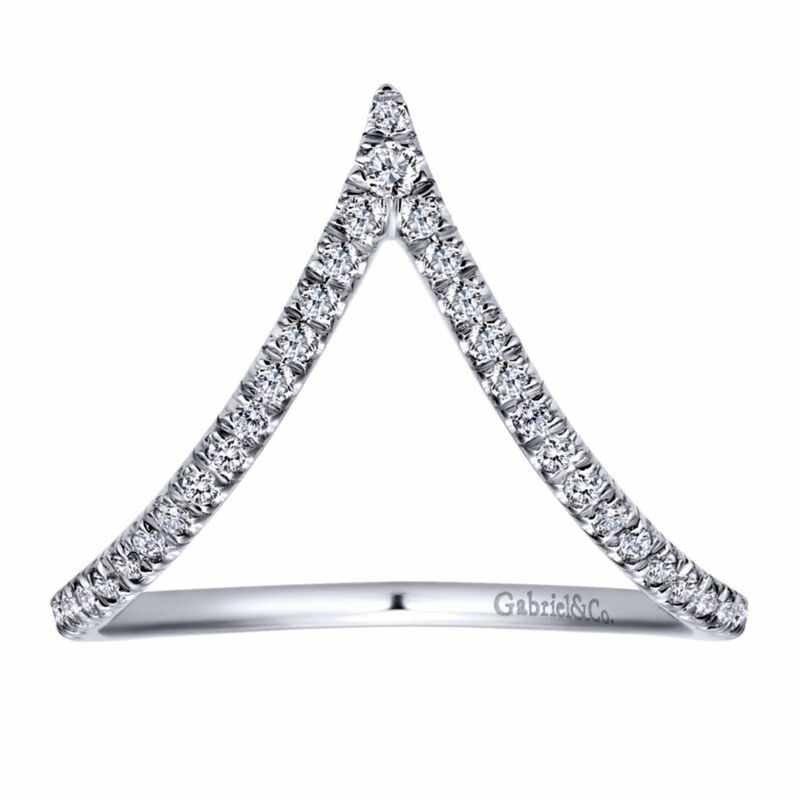 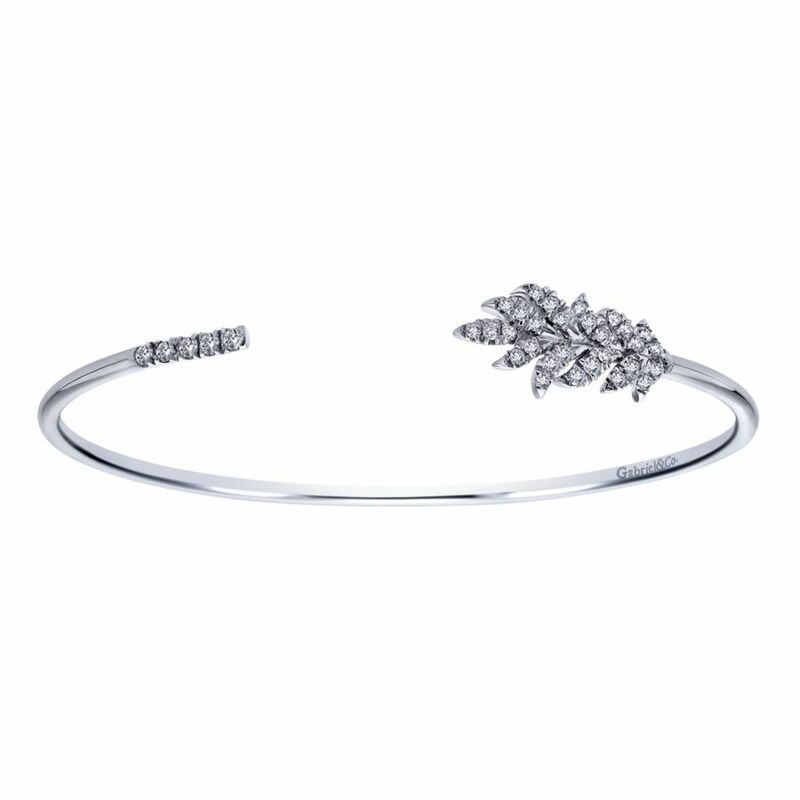 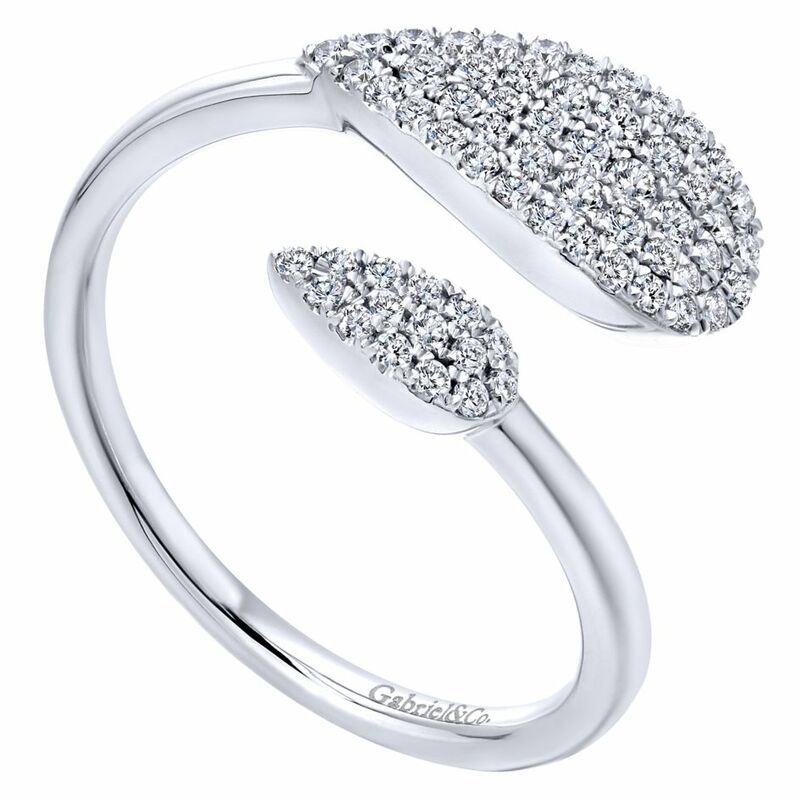 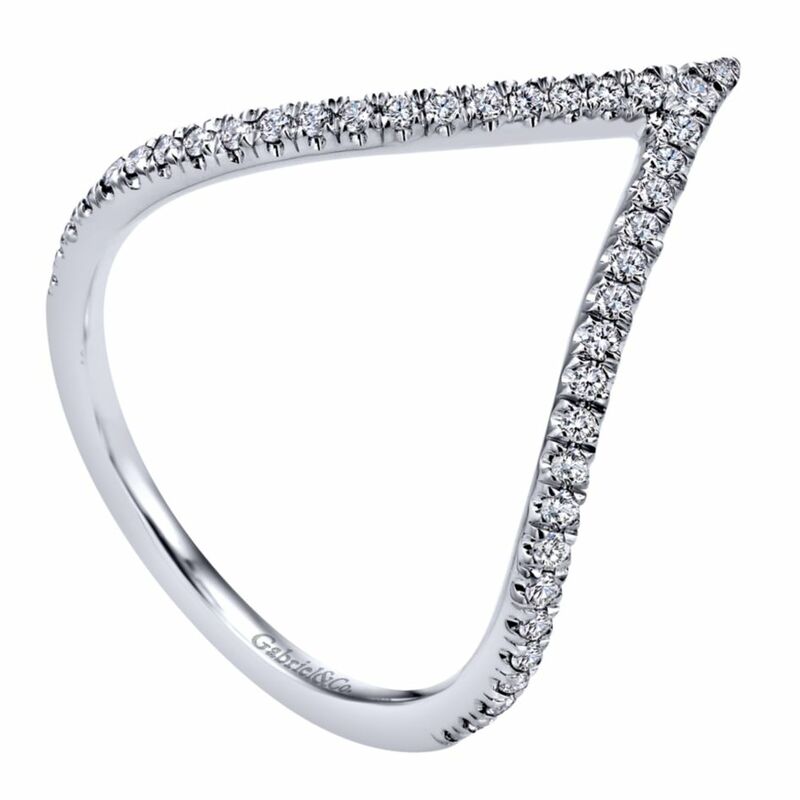 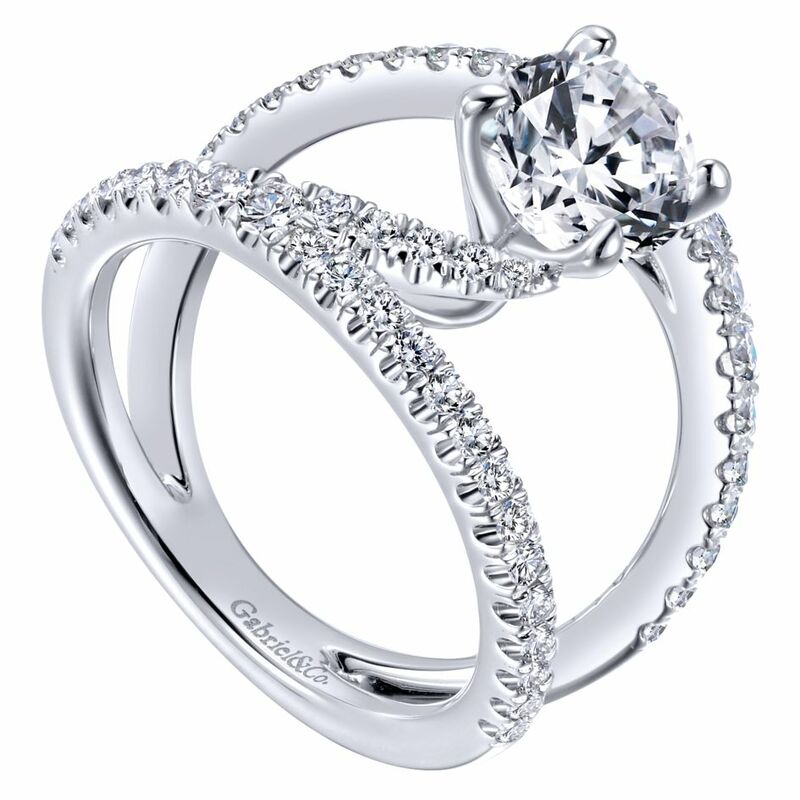 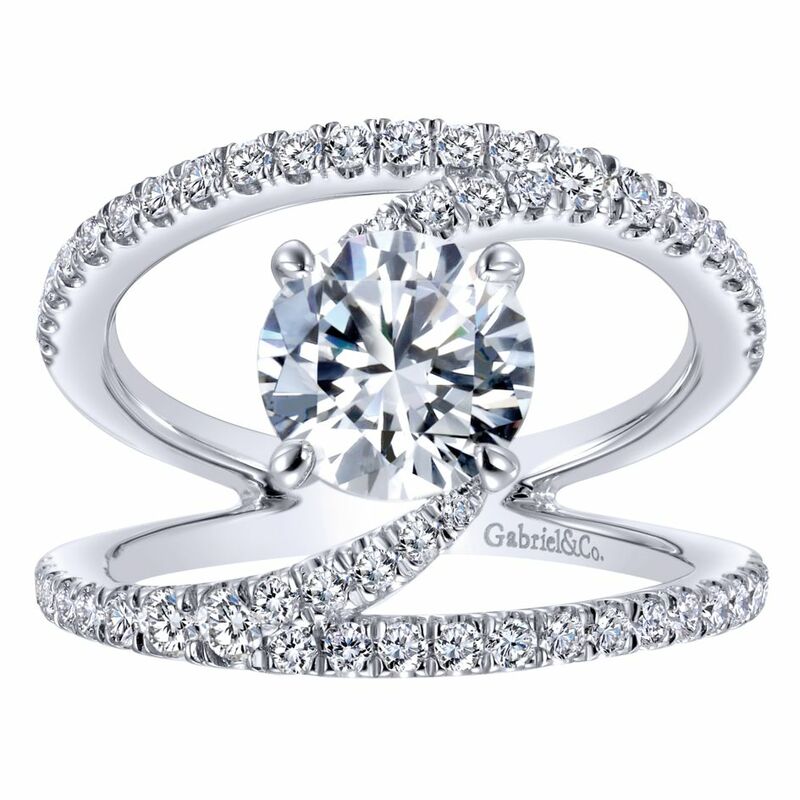 Gabriel & Co’s er4112 is a beautiful diamond pave halo set ring that offers a split shank filled with diamonds leading up to a center piece that can hold a stone up to 6.50mm. 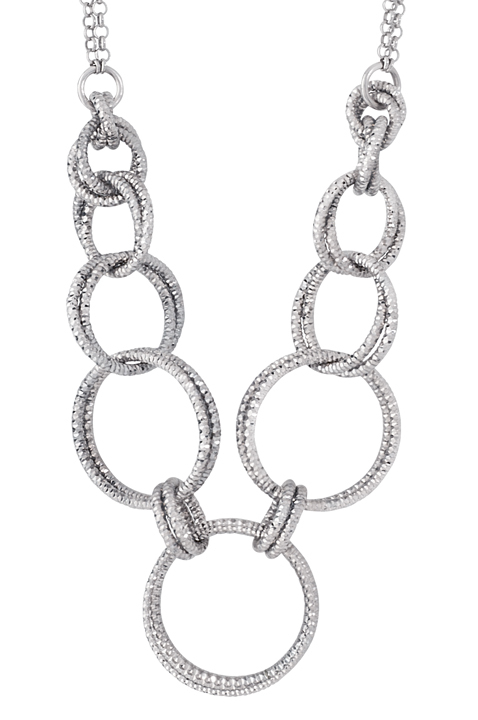 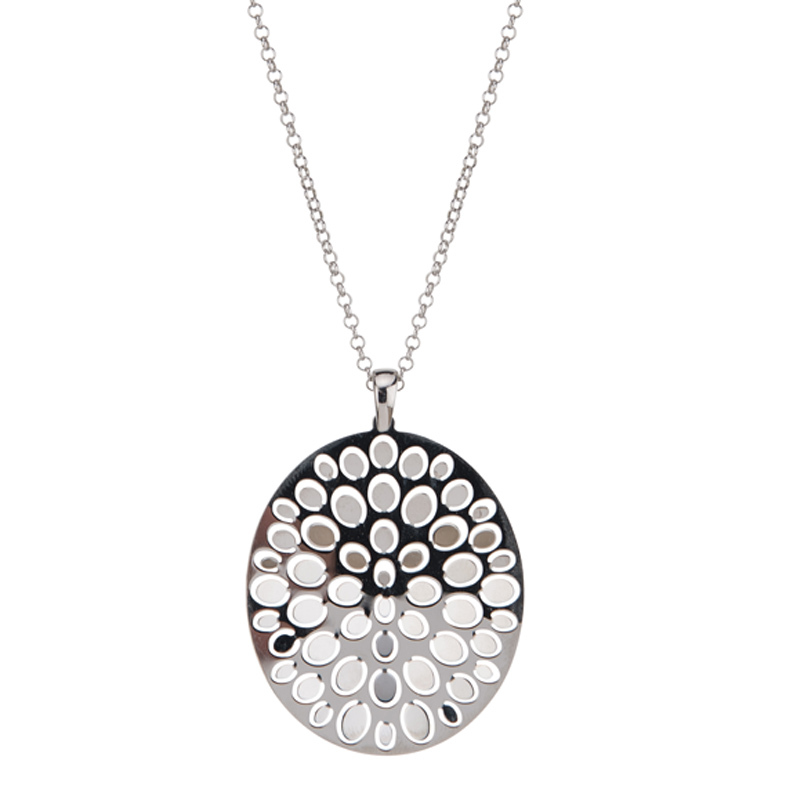 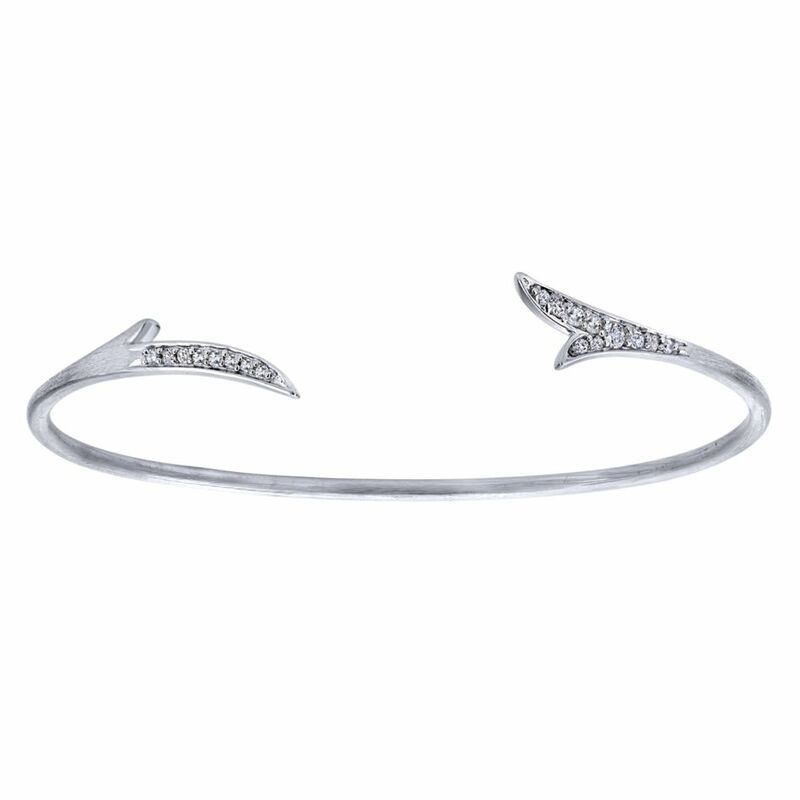 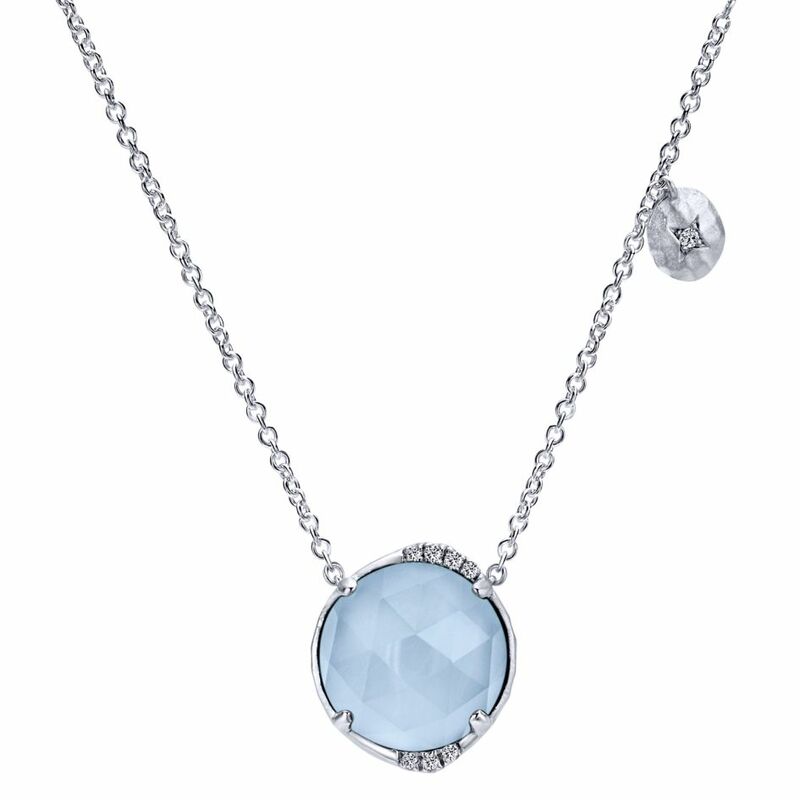 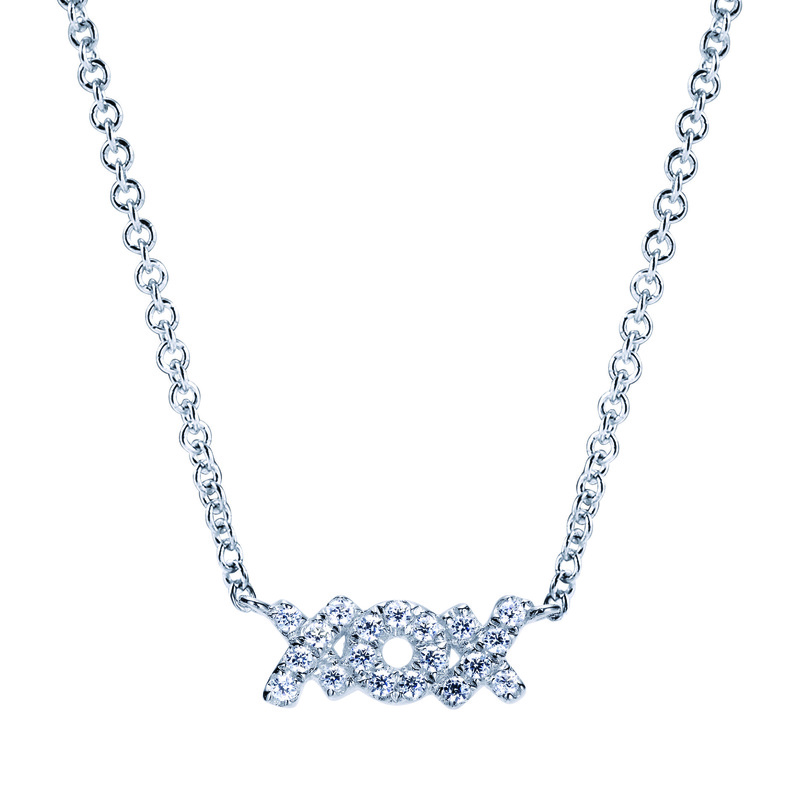 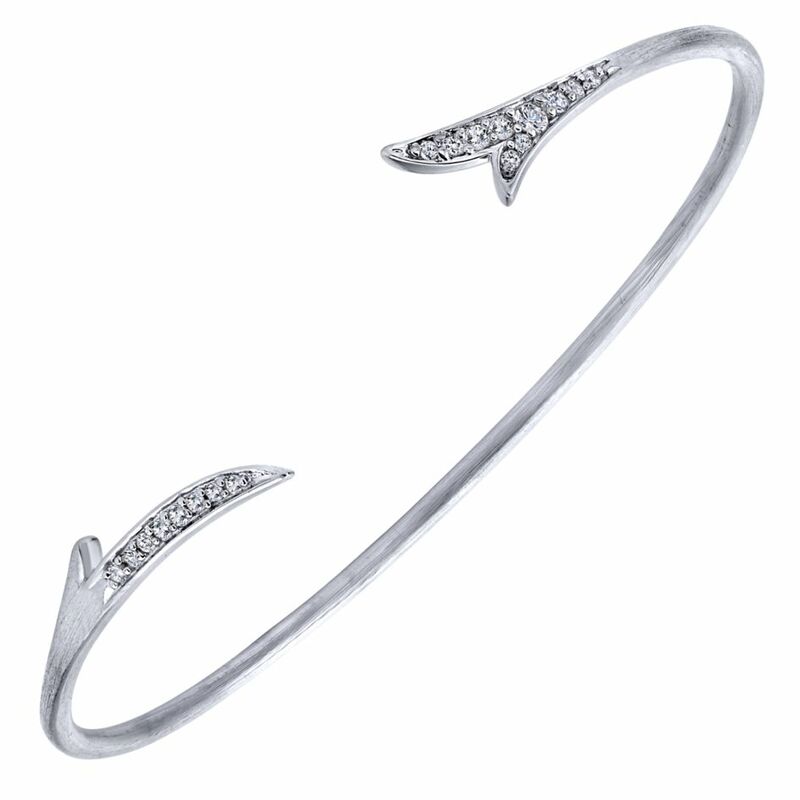 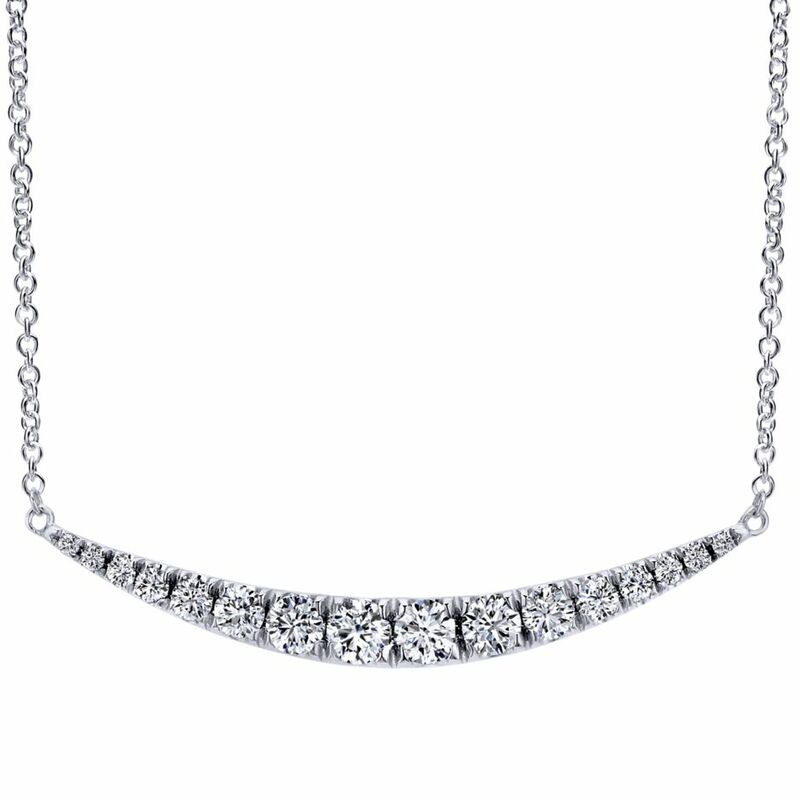 This Frederic Duclos style ne184 necklace is an example of a classic and charming silver necklace. 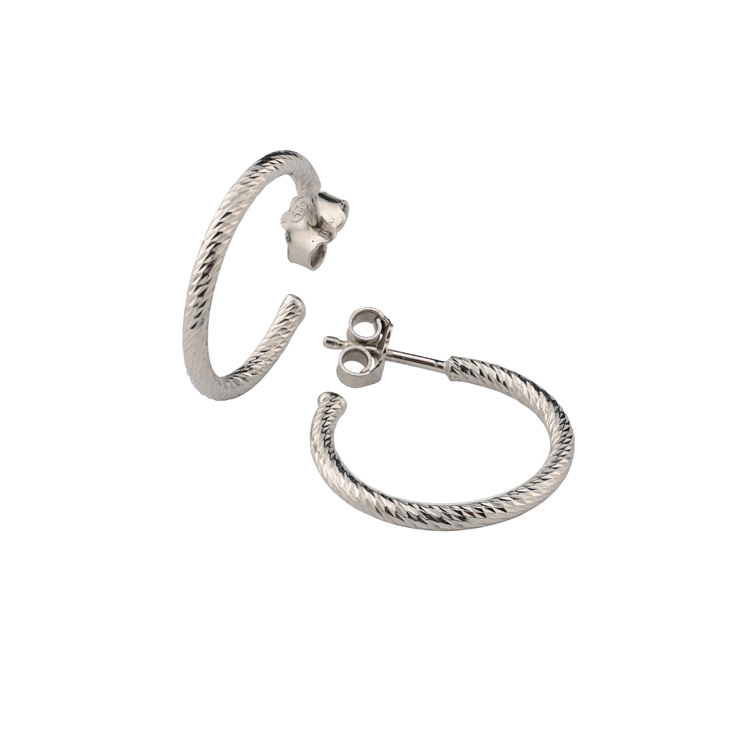 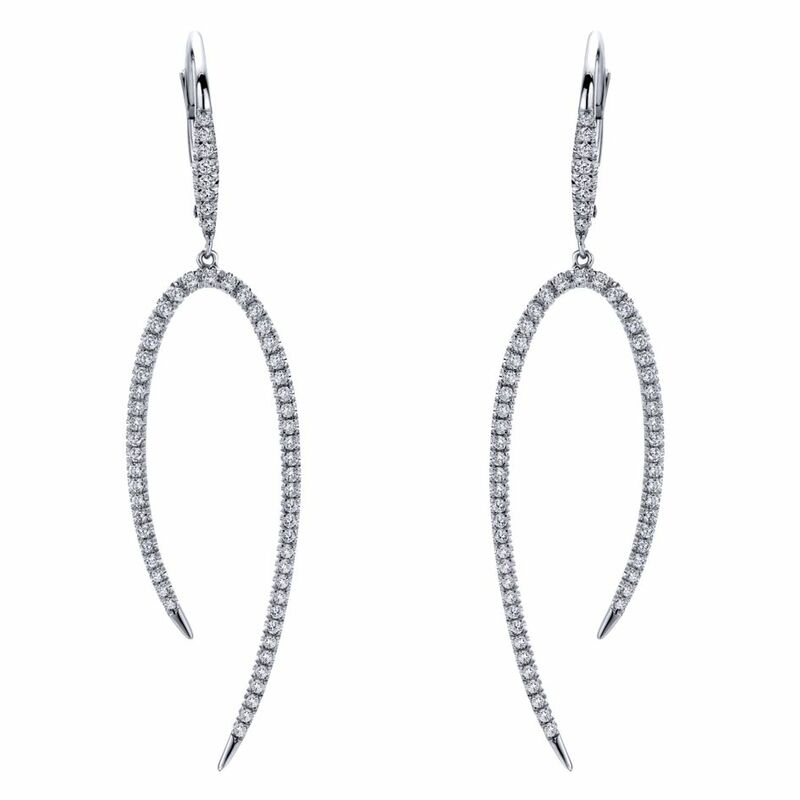 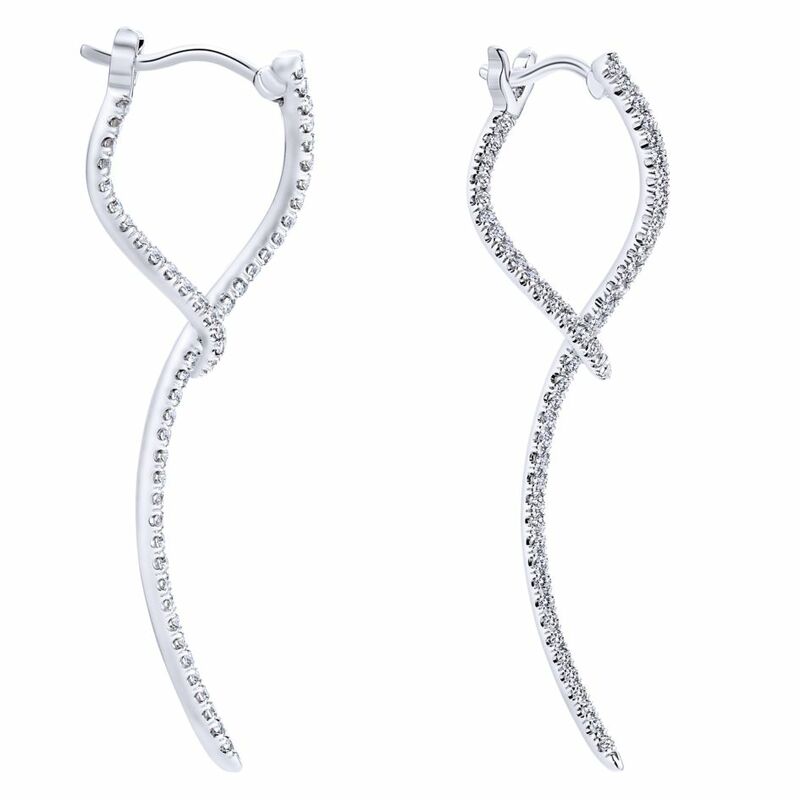 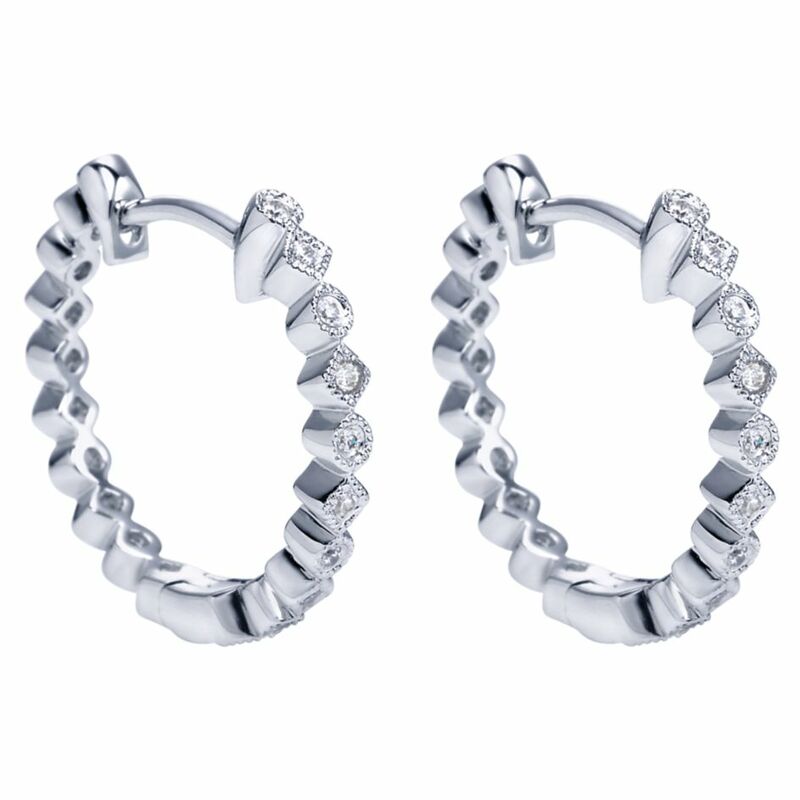 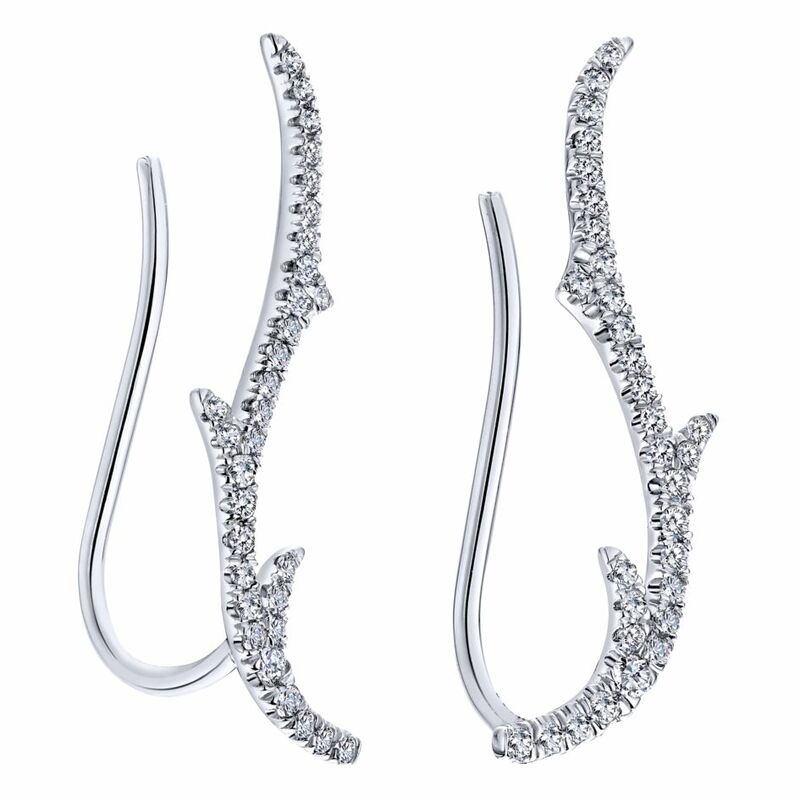 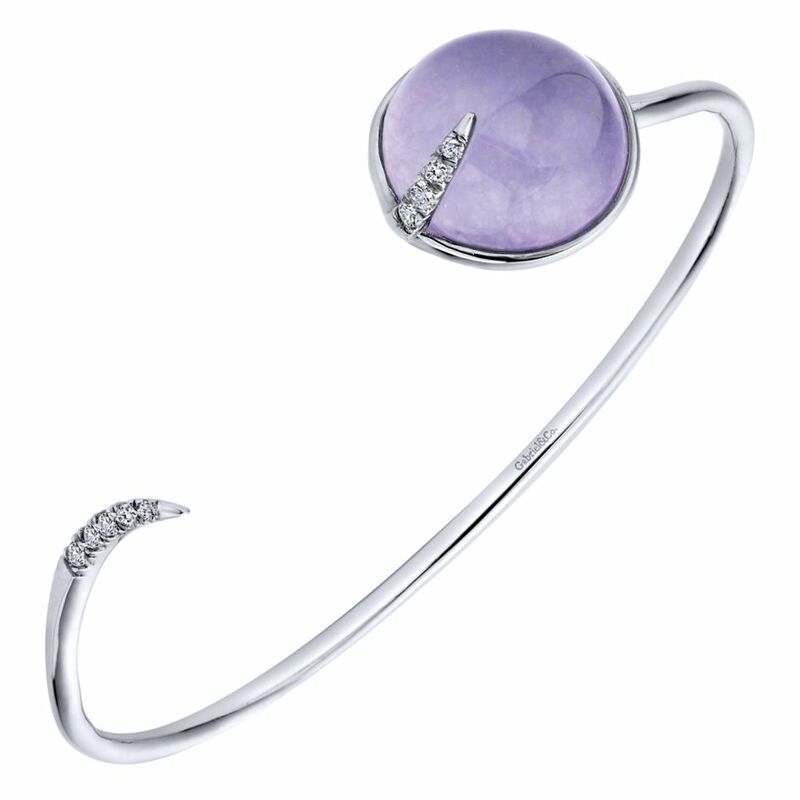 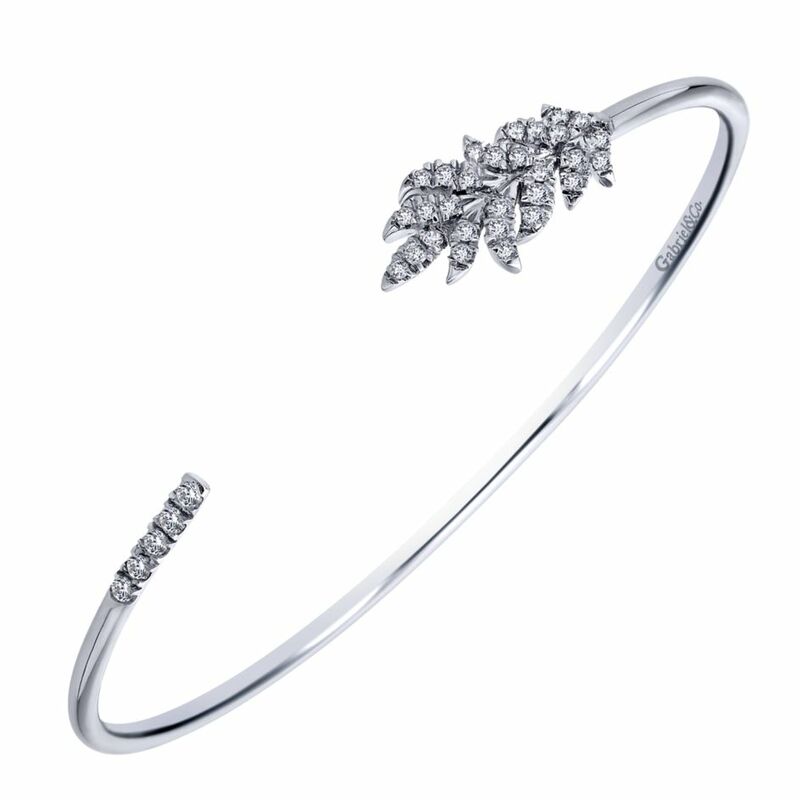 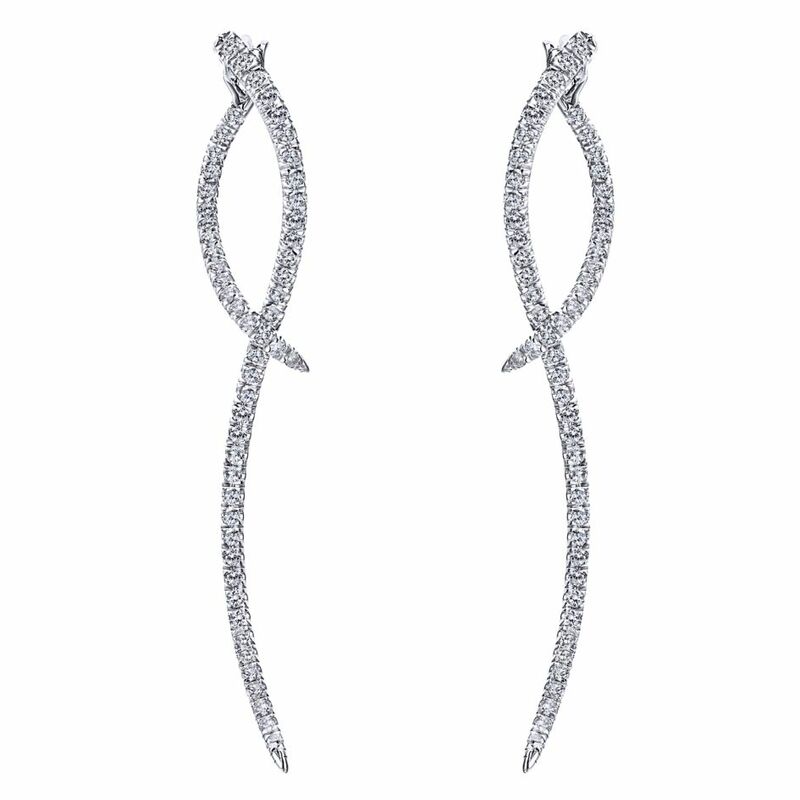 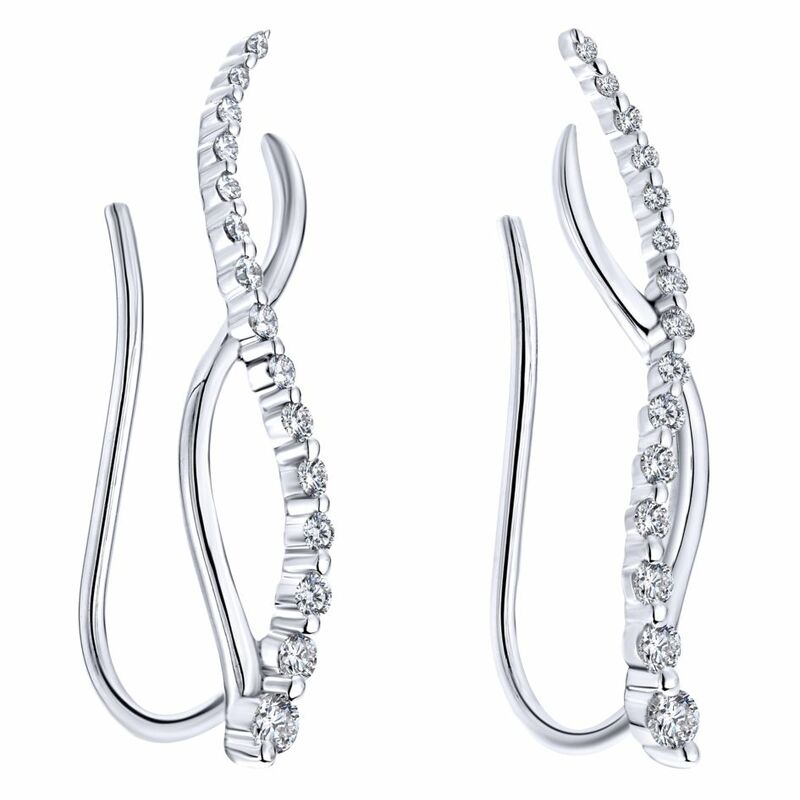 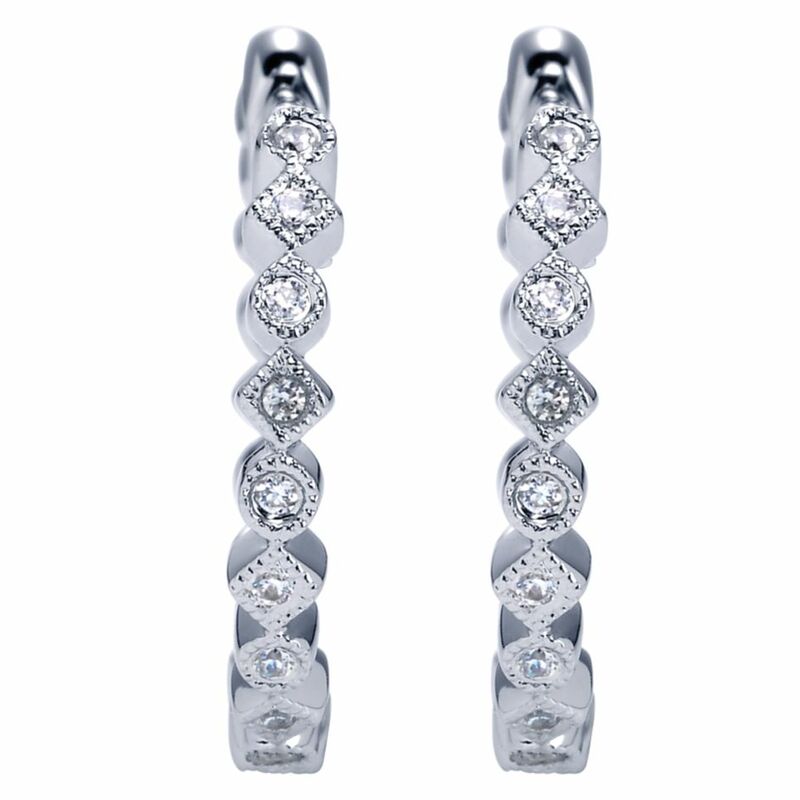 These Frederic Duclos style e638 earrings offer a beautiful contemporary, yet classic shape. 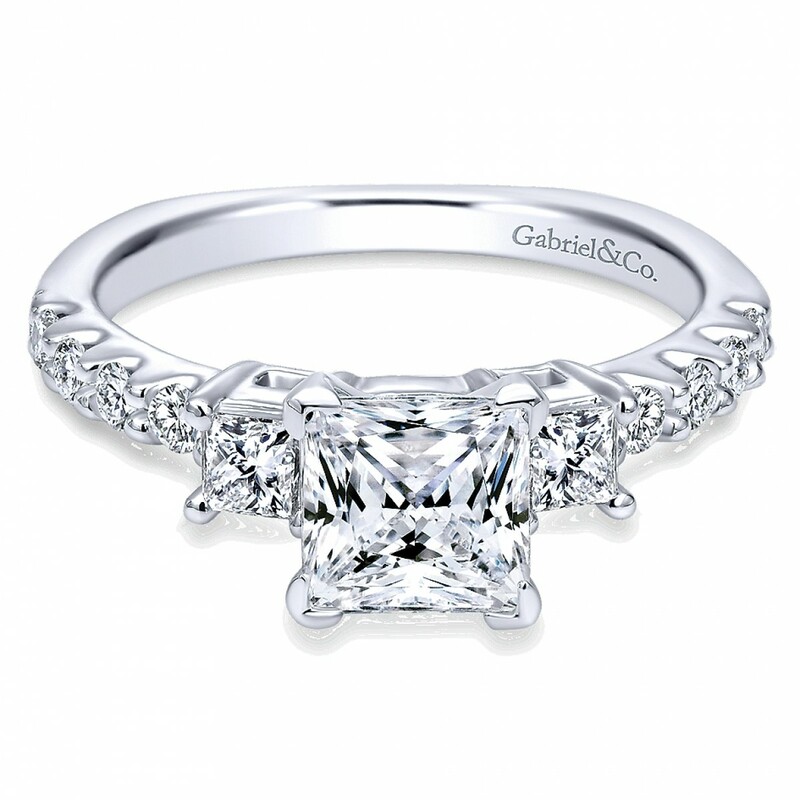 Gabriel & Co’s ER4020 is a 3 stone engagement ring that features prong settings allowing for a princess cut stone of your choice. 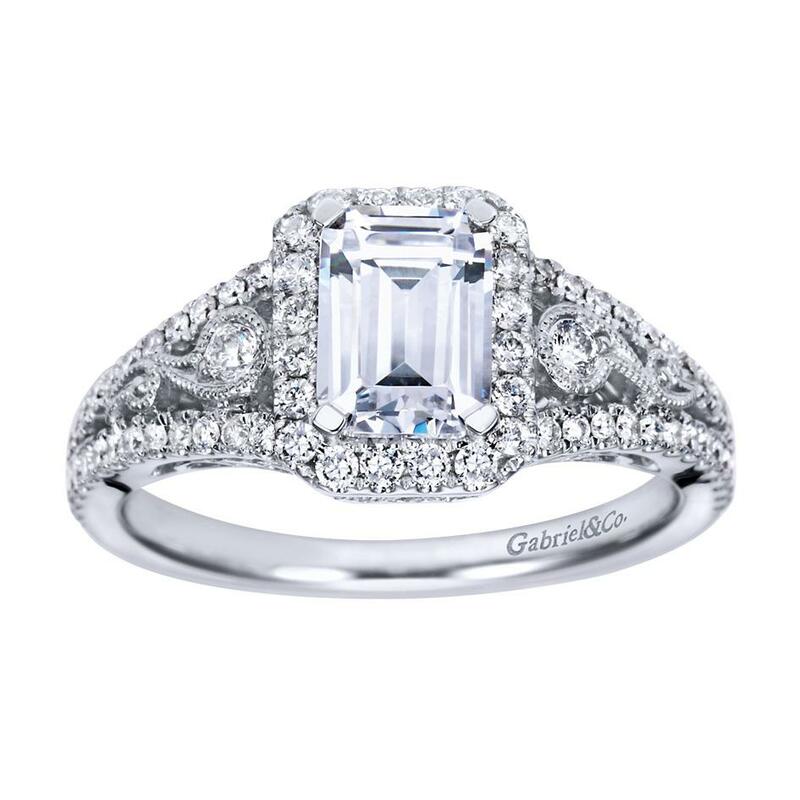 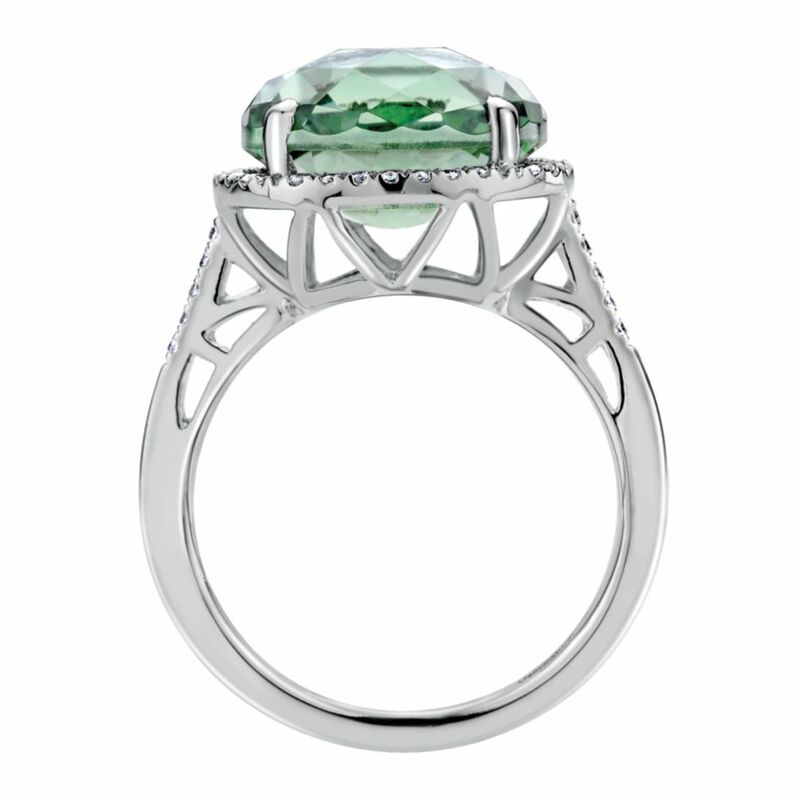 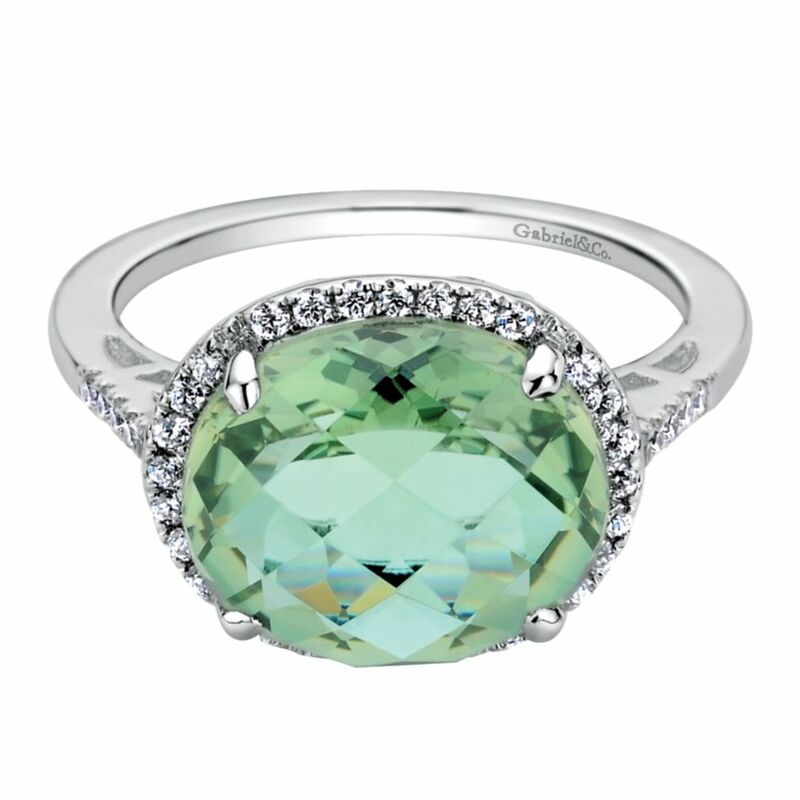 The Gabriel & Co style er7740 is a stunning diamond ring with an emerald halo that is available in numerous metal options. 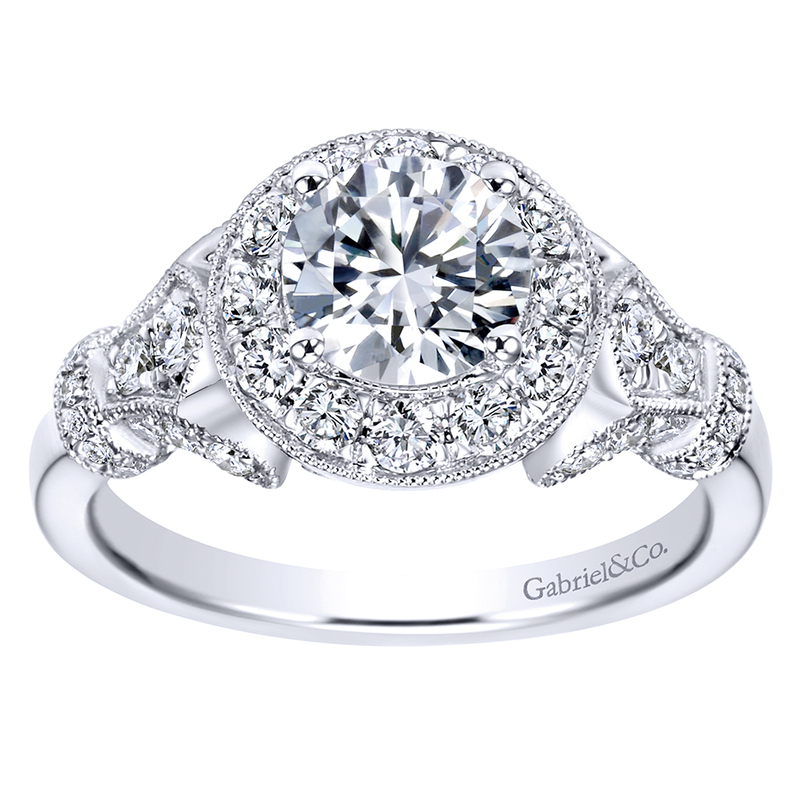 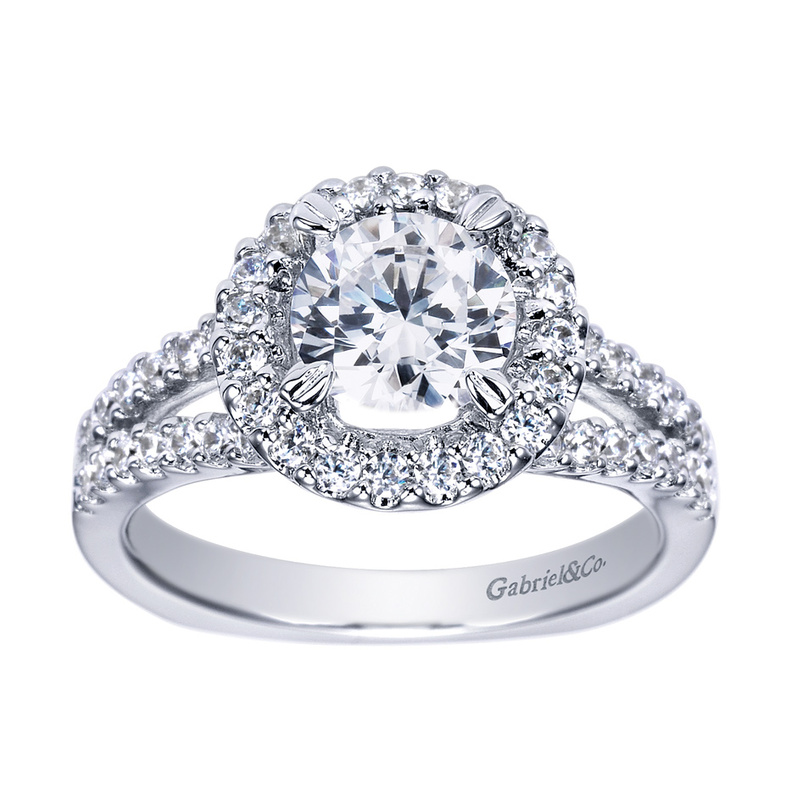 The style er7478 from Gabriel & Co is a magnificent halo engagement ring with round diamonds around the halo and a beautiful Fluer-de-lis on both sides with the option of up to fit a 6.50mm stone. 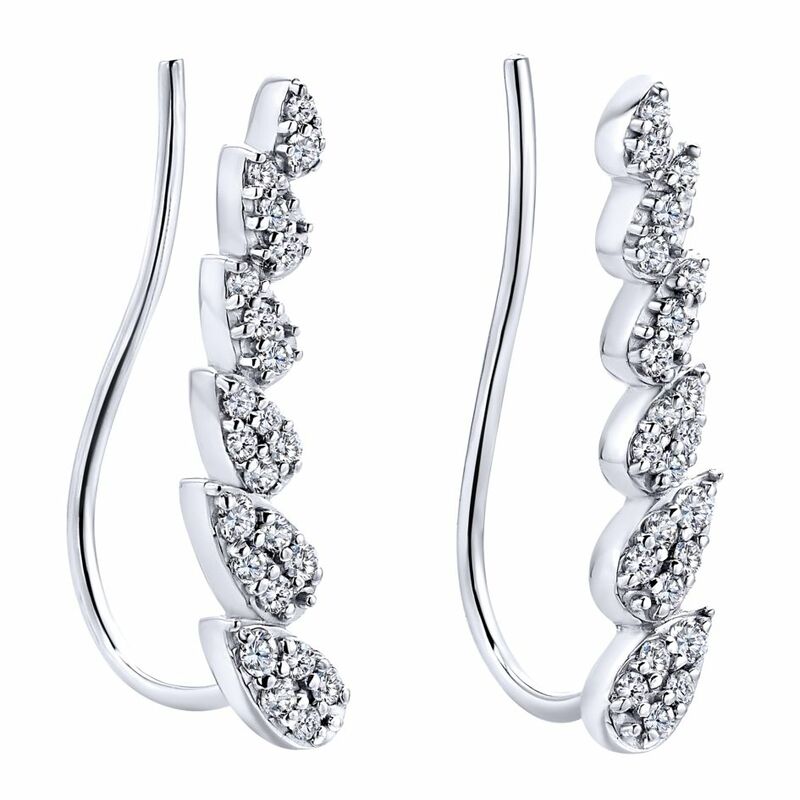 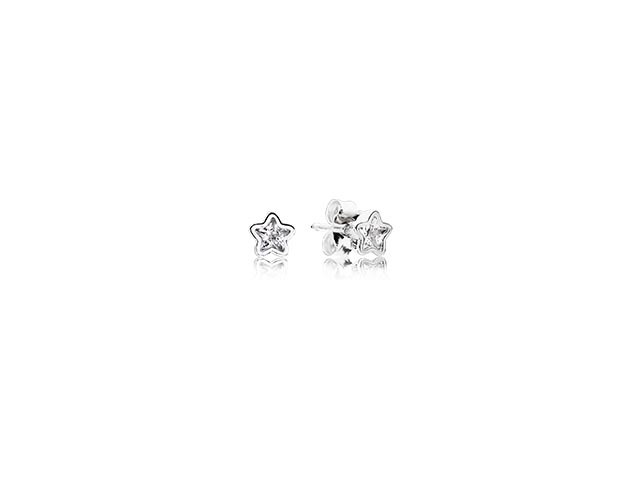 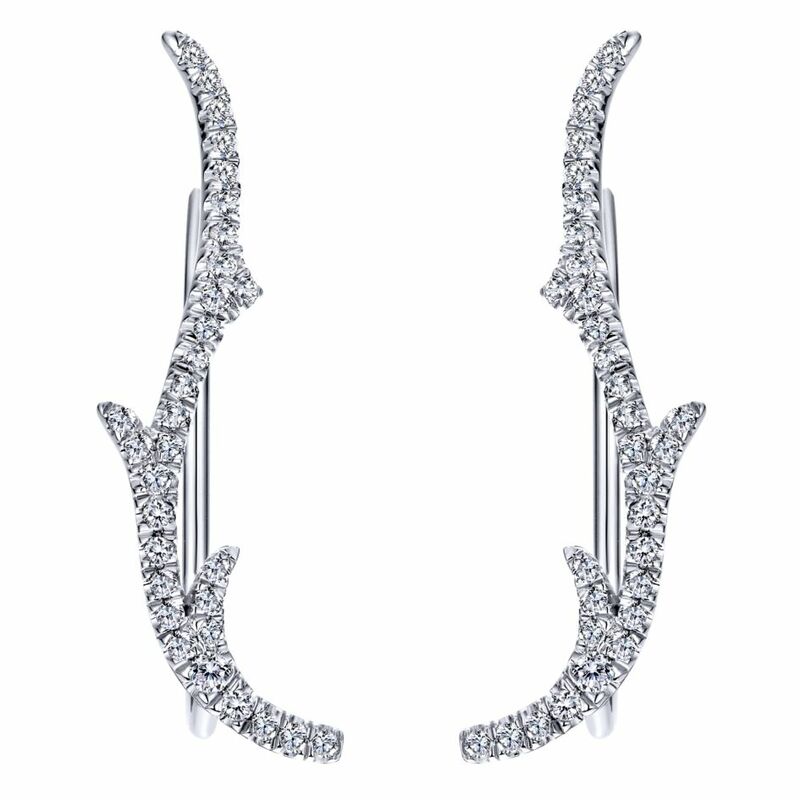 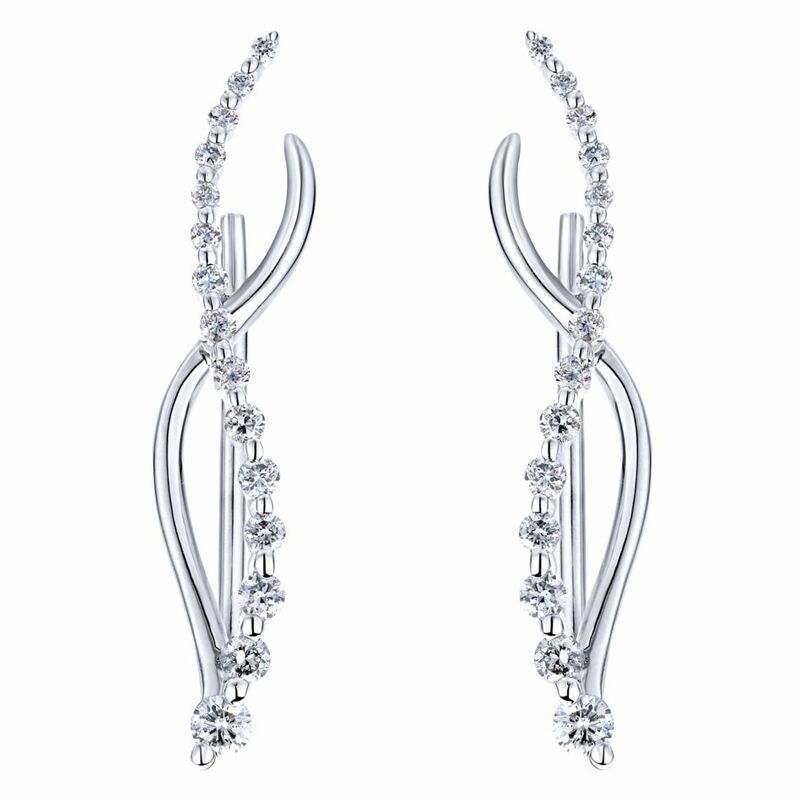 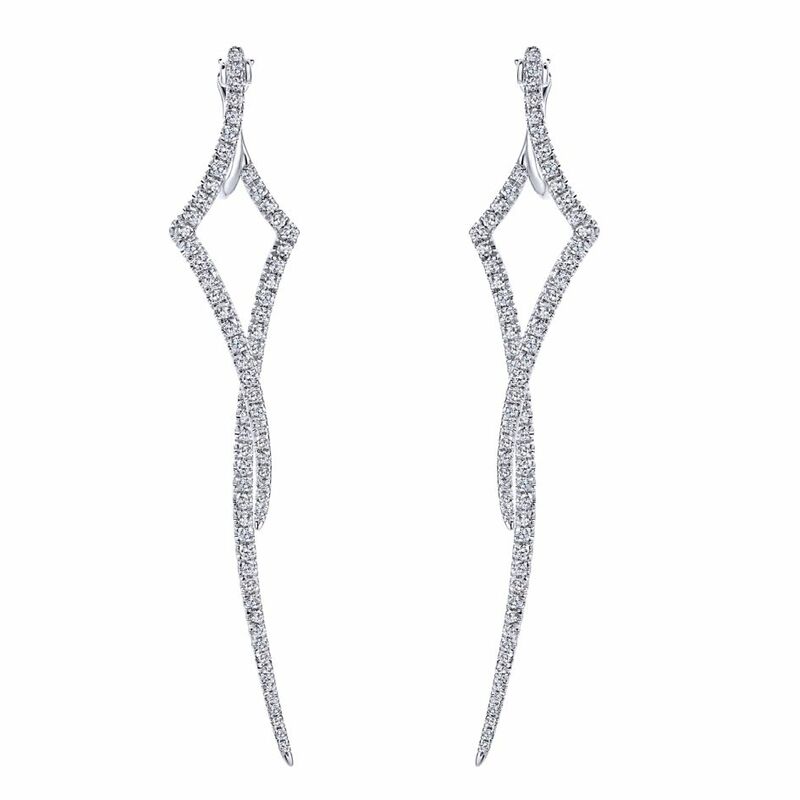 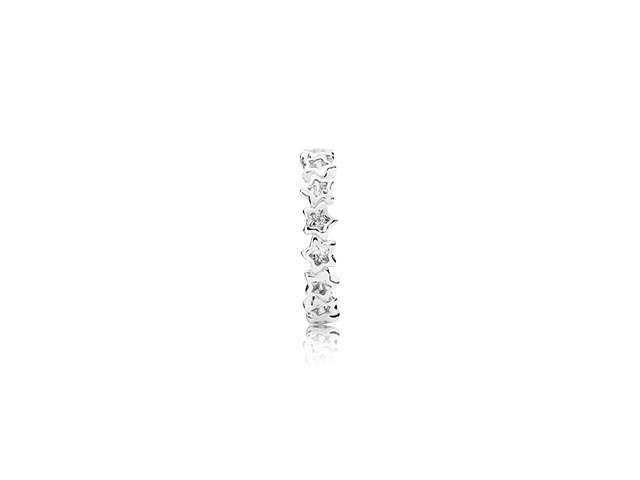 Frederic Duclos style e431 earrings that Fit Any Occasion From a classic pair of diamond studs or hoops to a glitzy pair of drop earrings, no ensemble is complete without earrings. 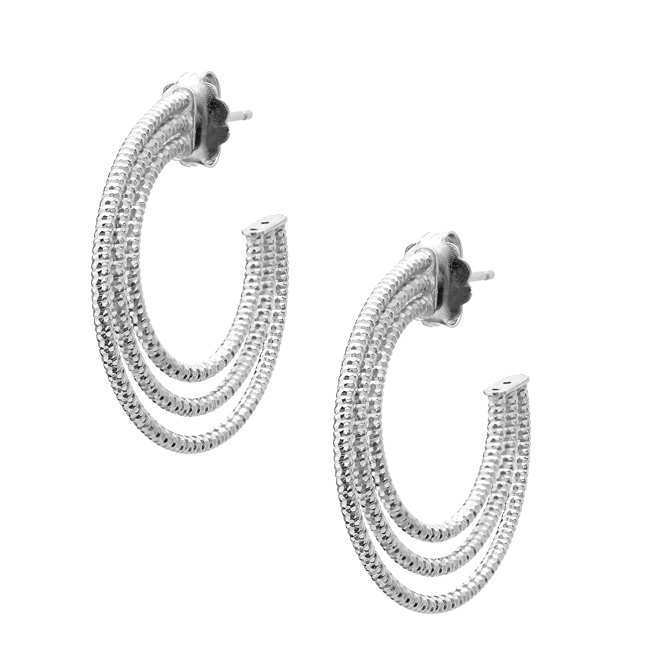 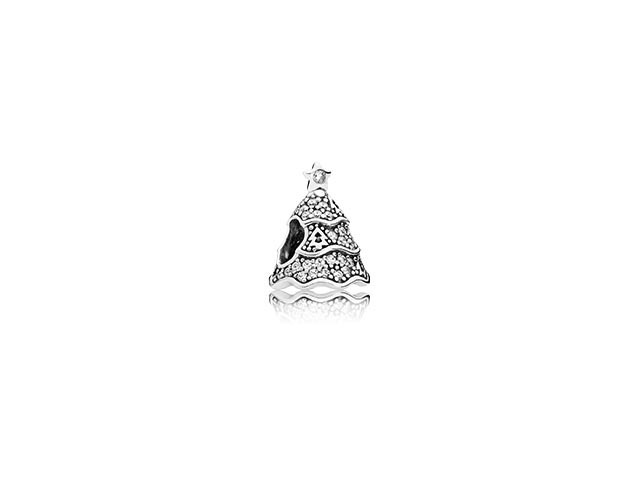 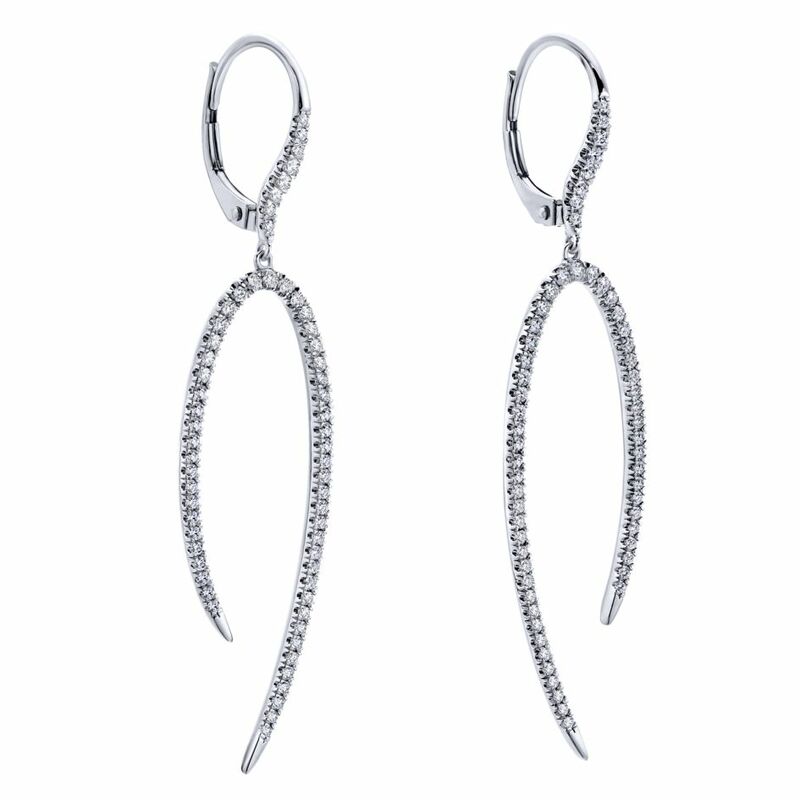 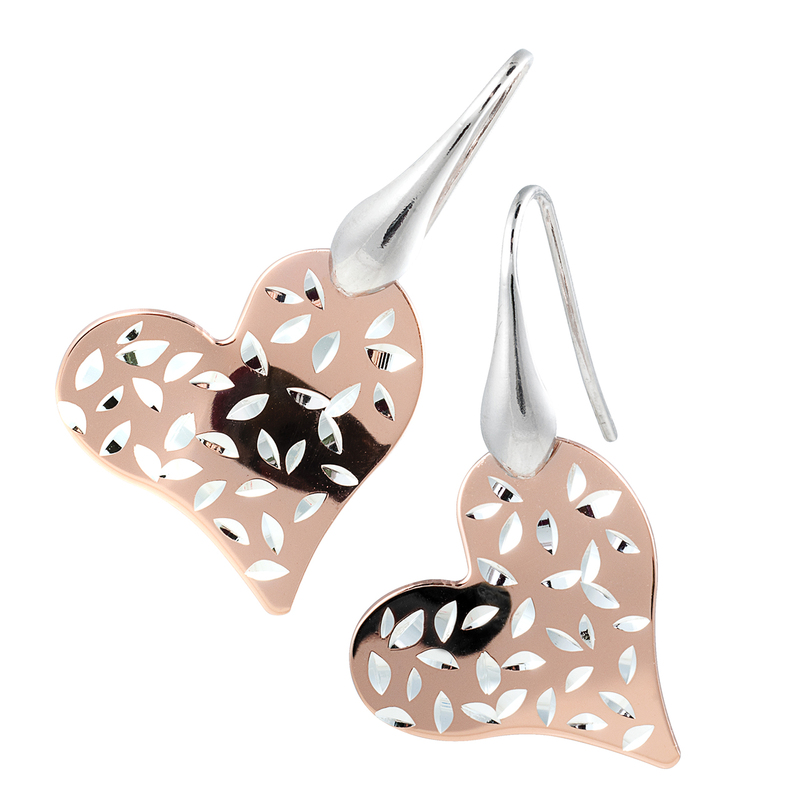 For everyday wear, or a night on the town, Frederic Duclos style e488 sterling silver earrings complete any look.